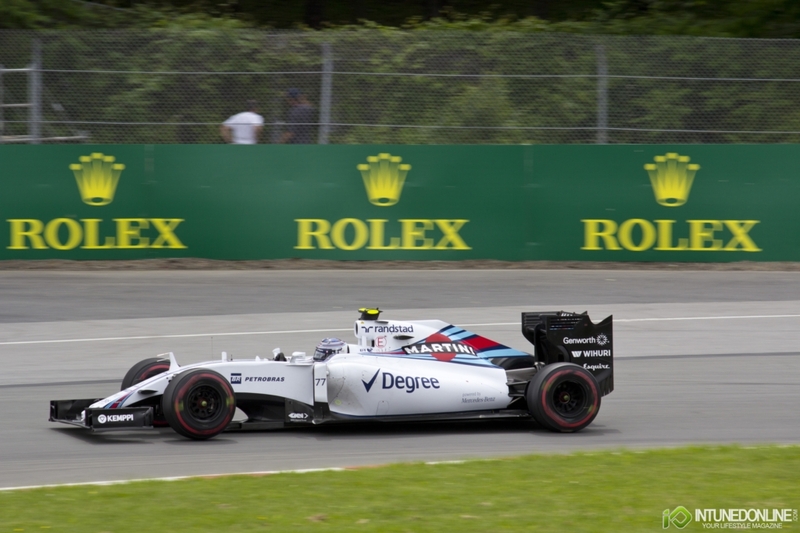 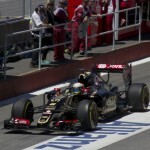 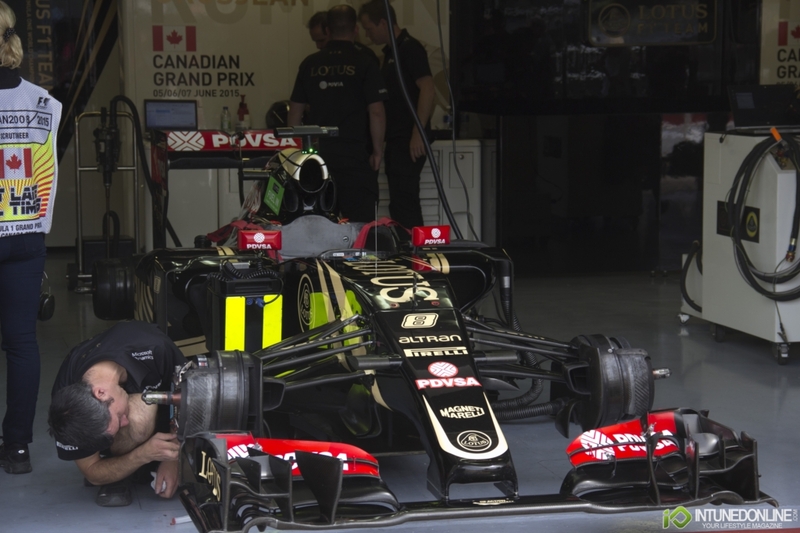 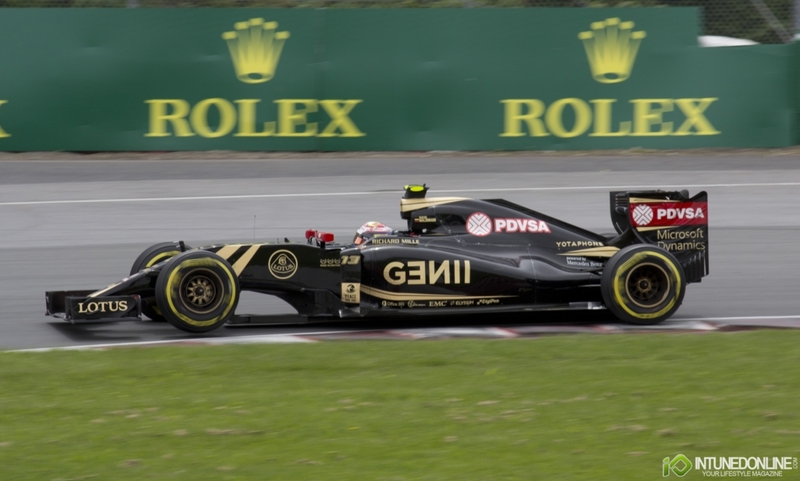 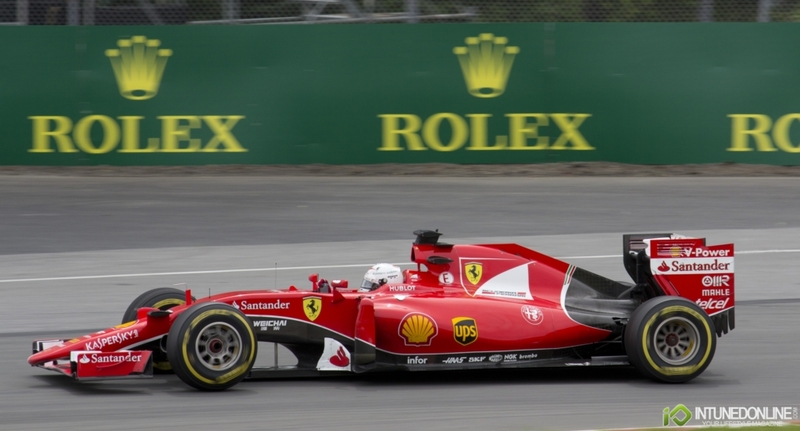 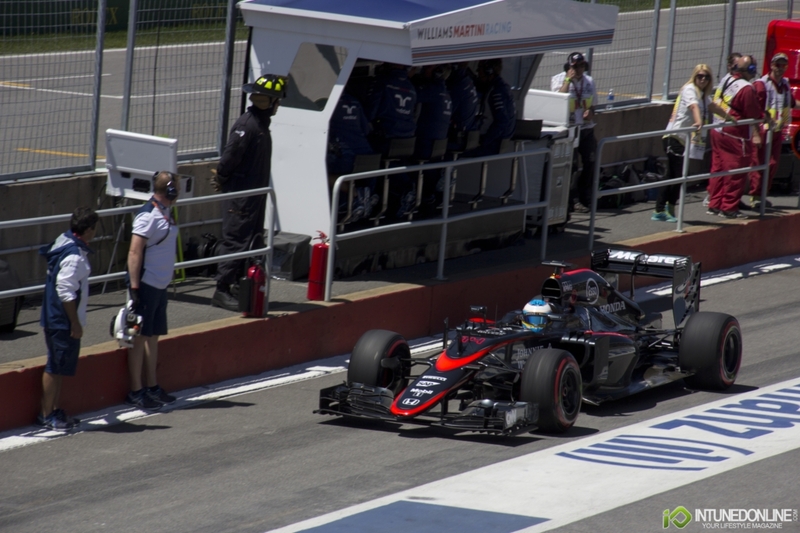 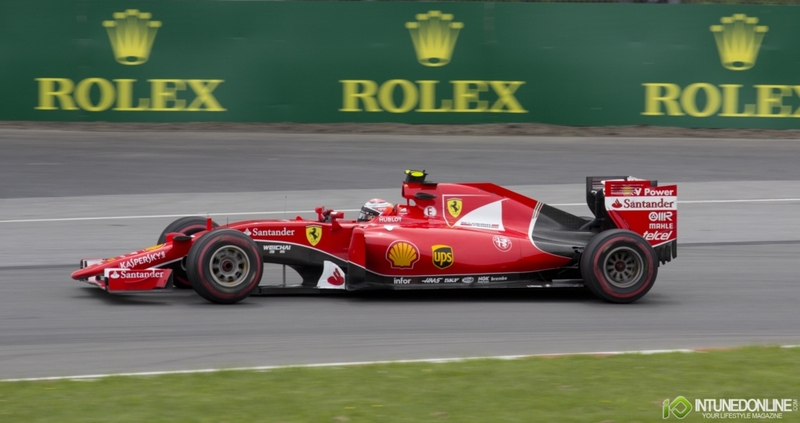 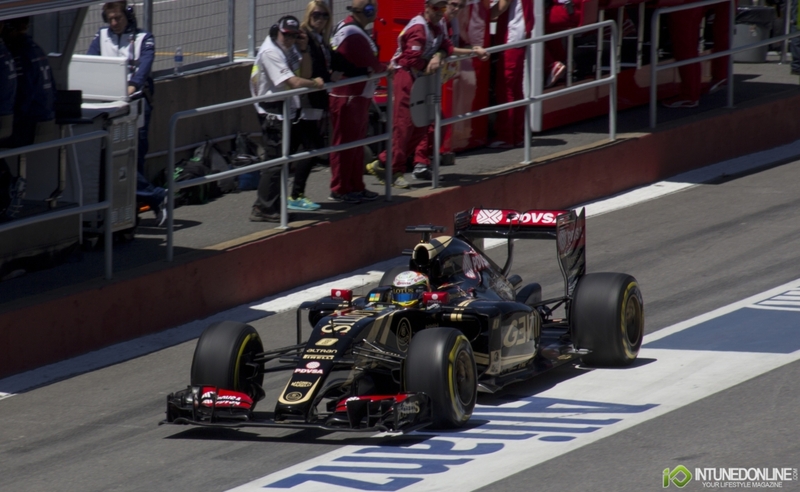 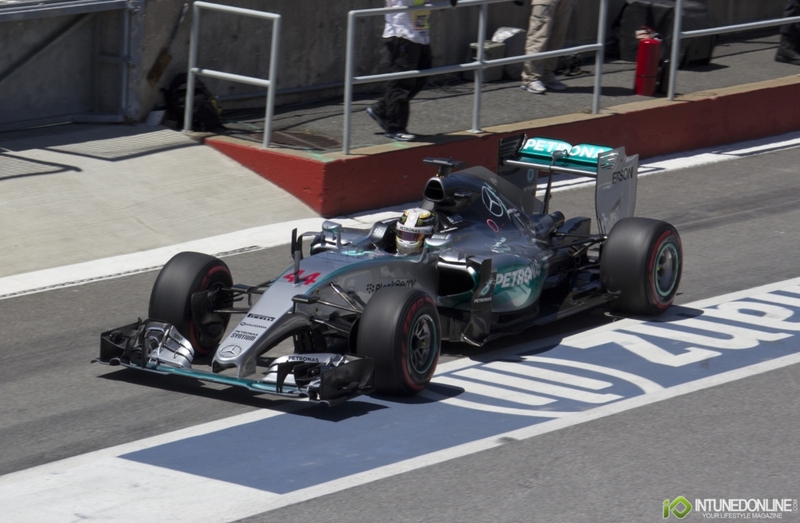 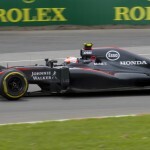 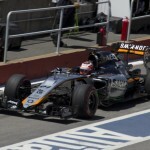 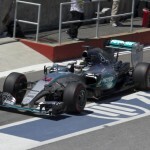 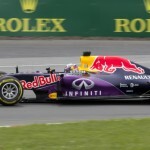 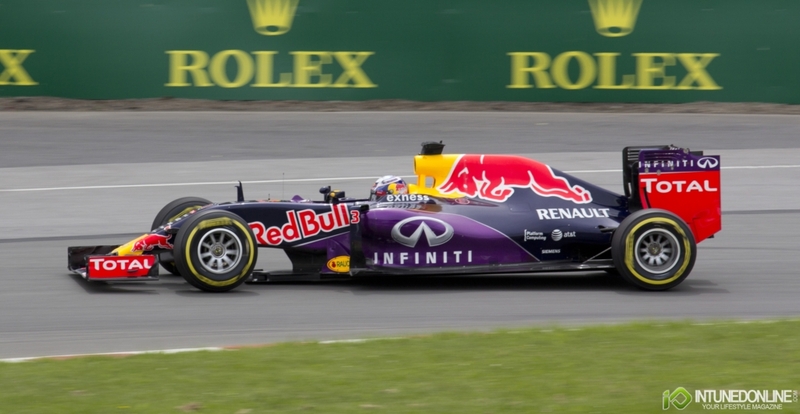 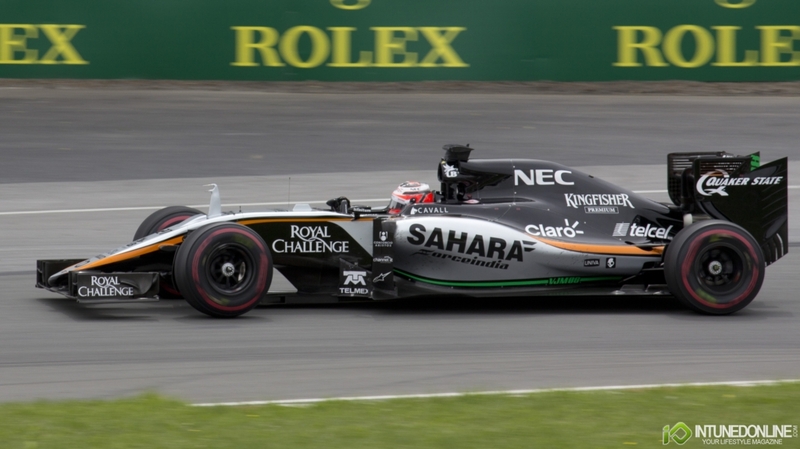 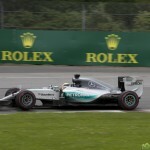 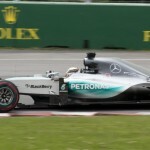 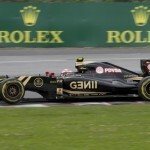 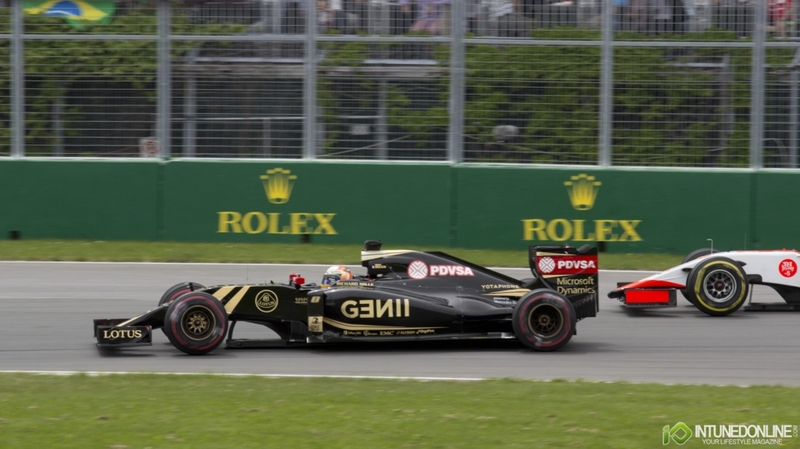 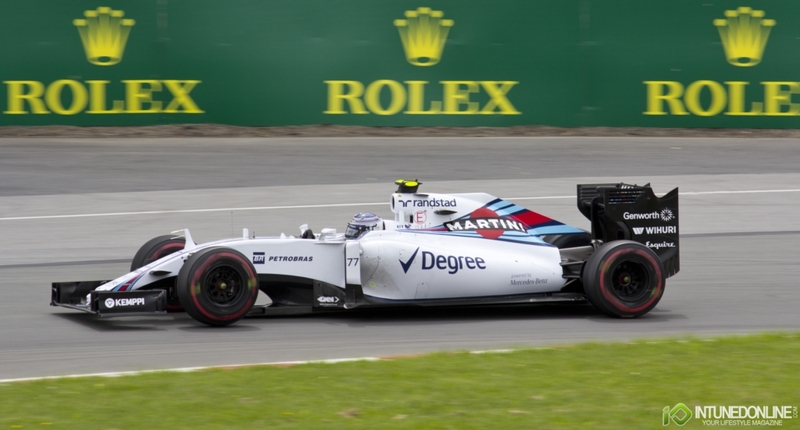 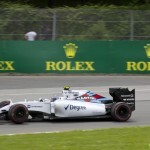 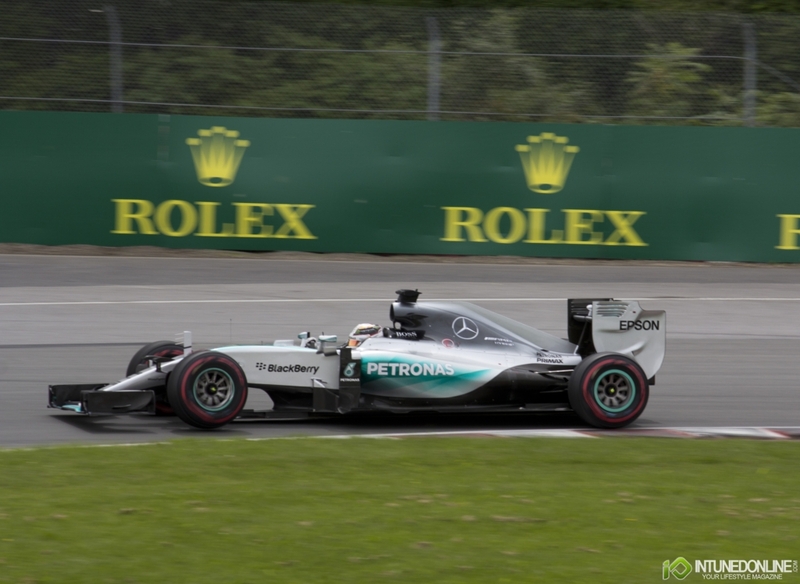 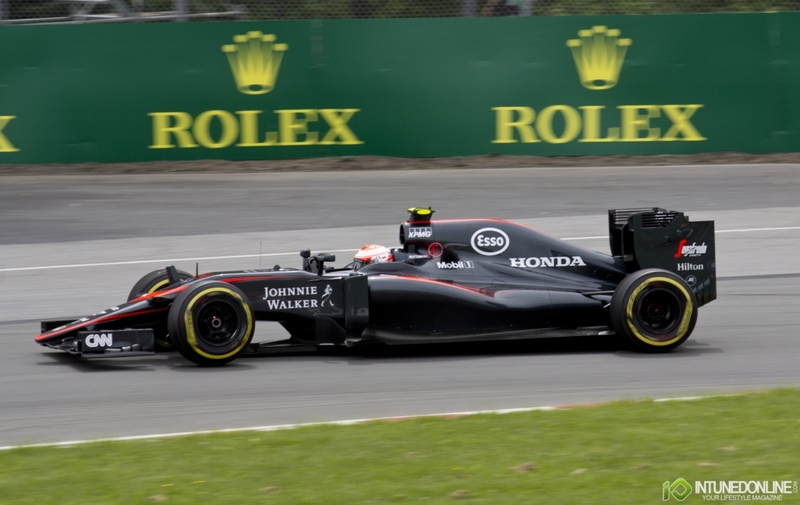 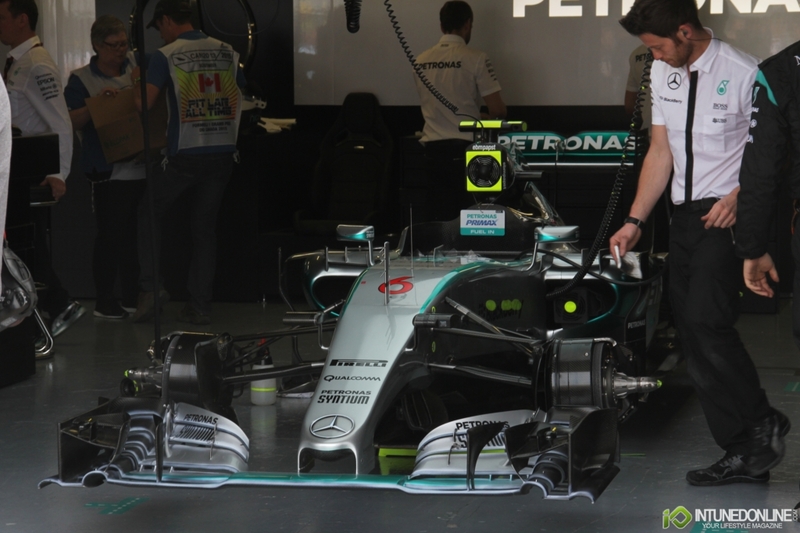 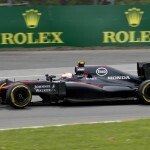 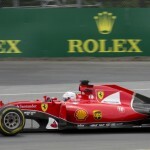 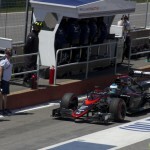 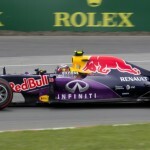 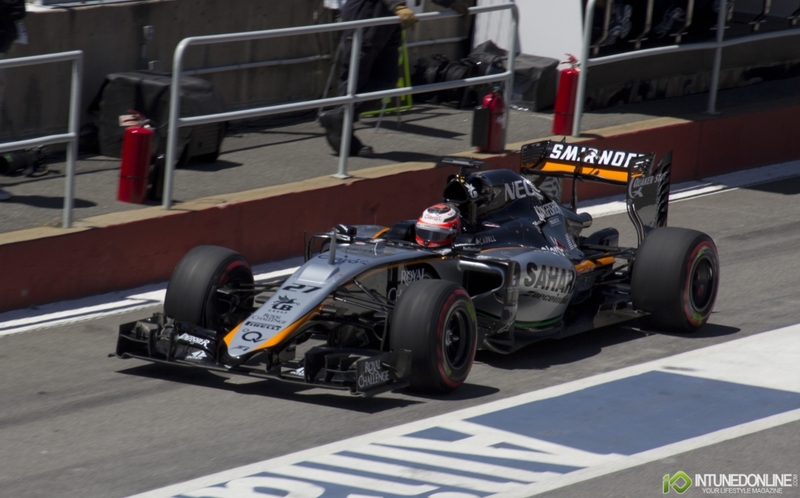 As the Austrian Grand Prix comes to a close this weekend we take a look back at the 2015 Canadian Grand Prix in Montreal, Quebec. 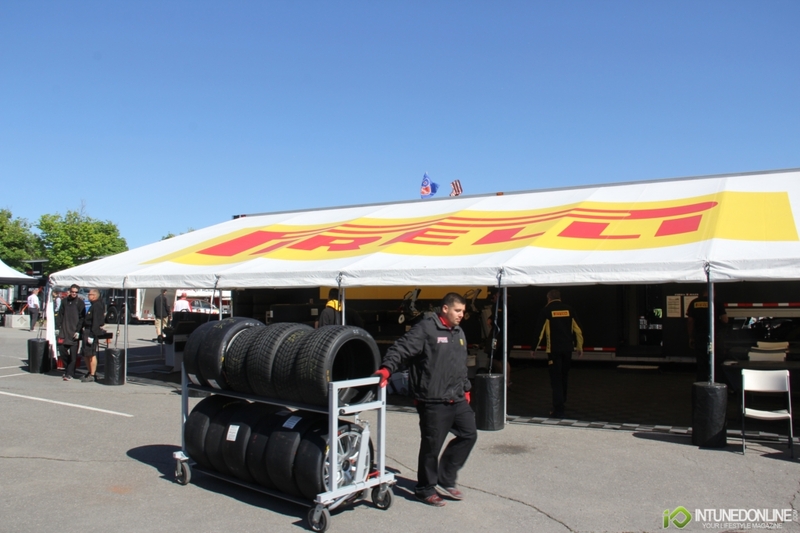 For the 4th consecutive year we have had the privilege to attend the Grand Prix as guests of Pirelli Canada as their exclusive media provider. 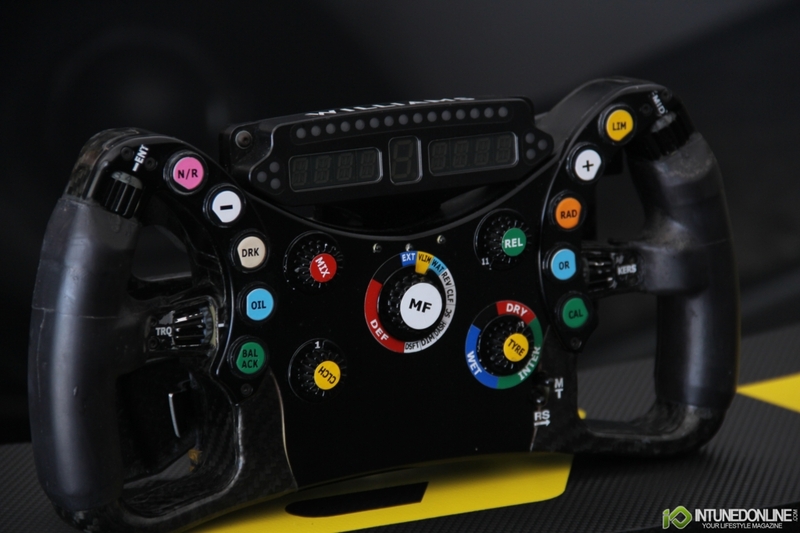 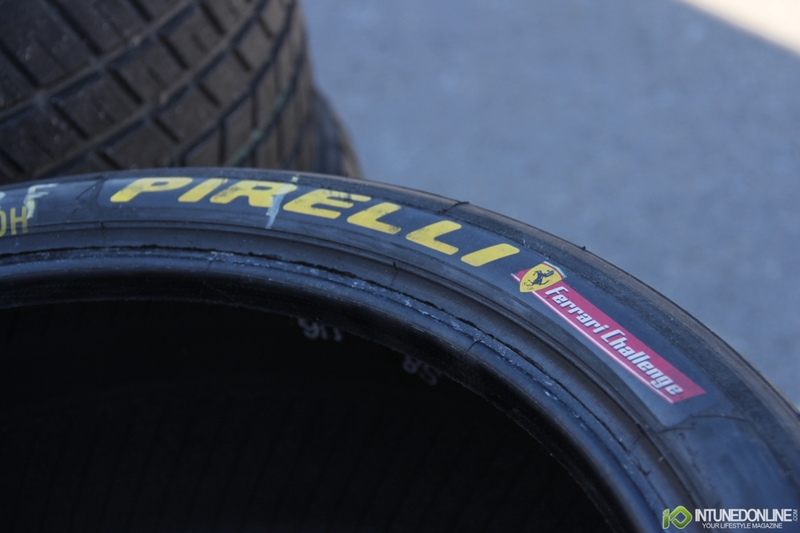 As in each year the Formula 1 experience that Pirelli delivers is above and beyond any expectations you could have about the sport. 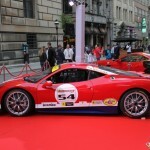 Each year we are amazed with how lucky we are to get to participate. 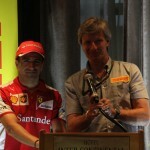 Our day starts off at the hotel; checking in and getting our passes for the upcoming day. 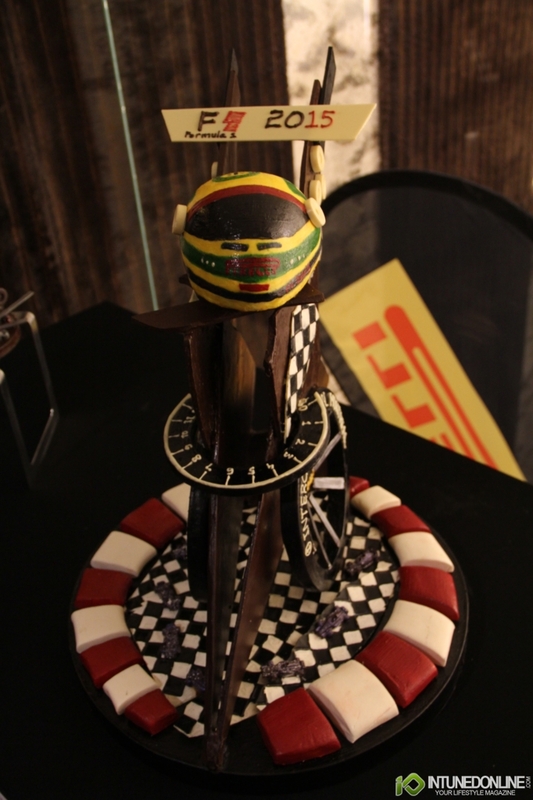 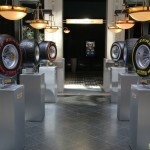 The spirit of Formula 1 is in the air and has taken over the hotel to everyone's enjoyment. 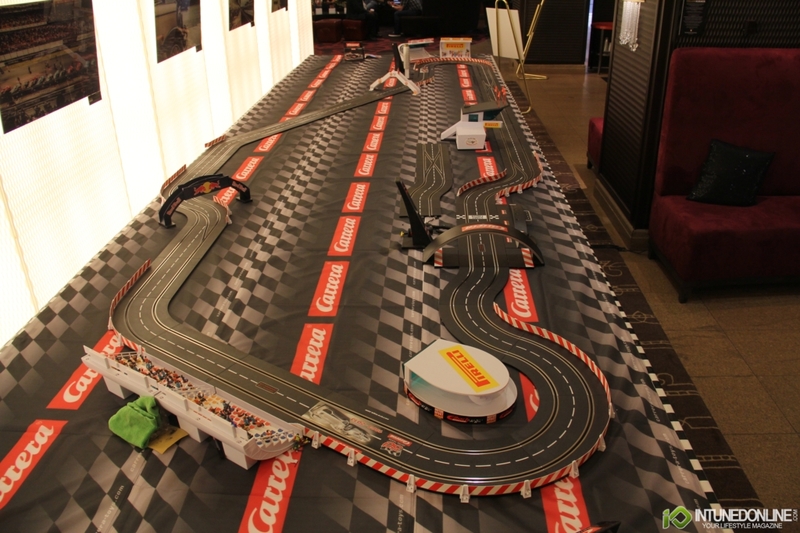 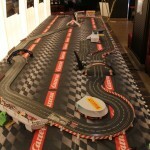 Carrera was on-site with a complete slot car set replica of Circuit Gilles Villeneuve on display in the lobby letting guests take the 1/24 scale F1 cars around the track. 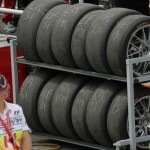 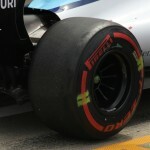 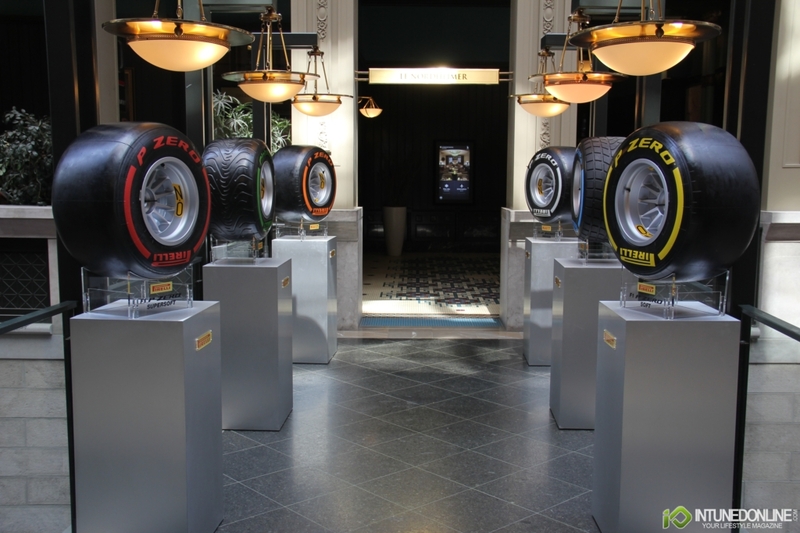 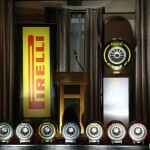 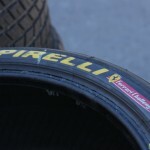 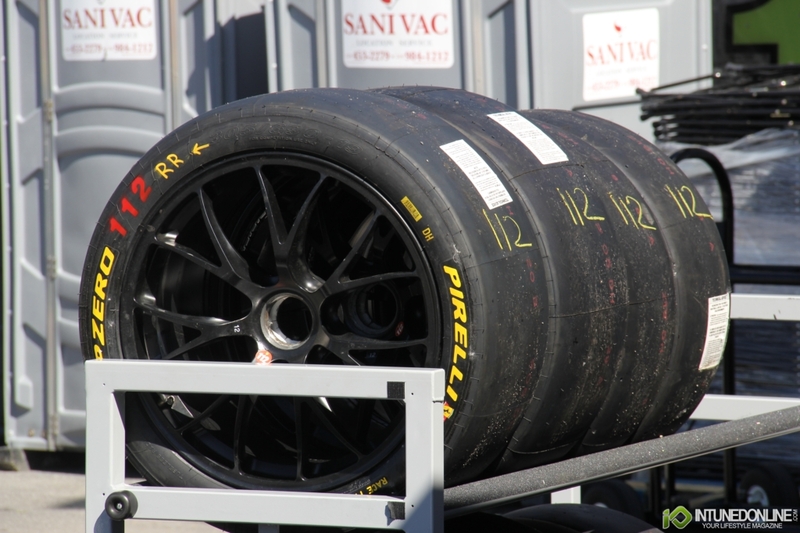 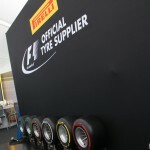 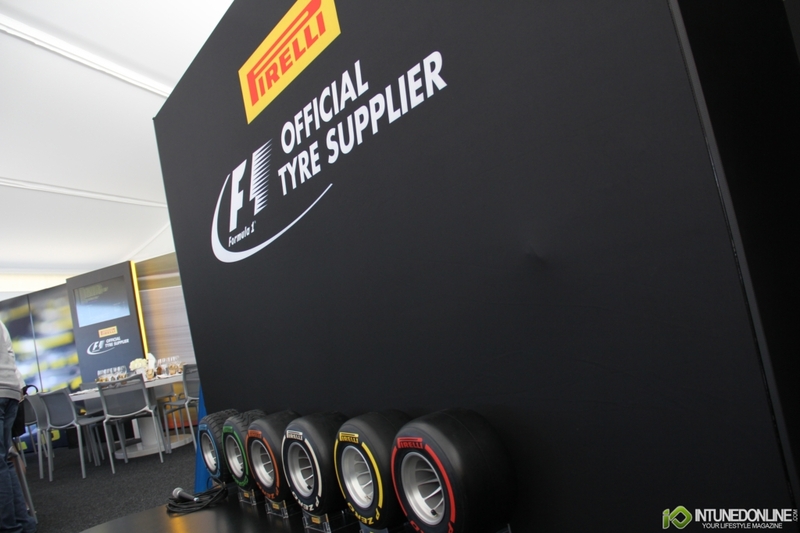 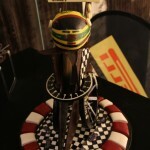 Pirelli also had a series of Formula 1 tires on display to which many of the guests stopped to look and take pictures. 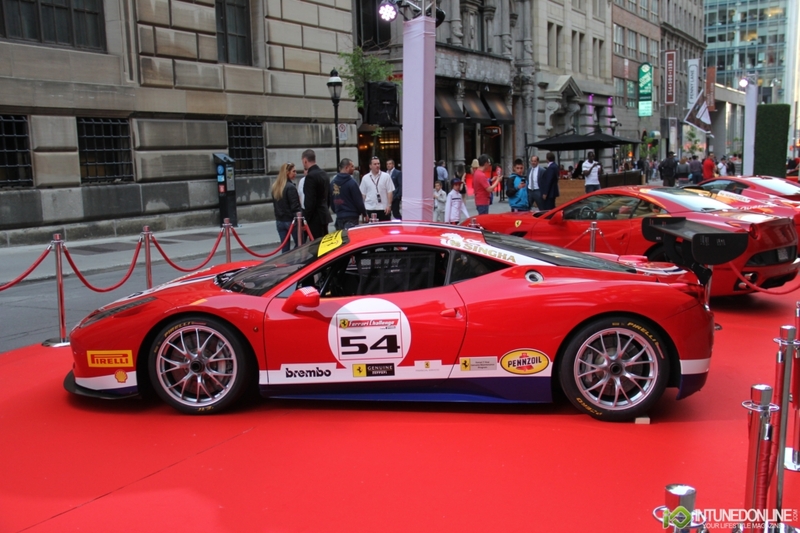 Once we received our passes we made our way to the race track via the Metro (subway) who were also in the F1 spirit with weekend passes branded for the Canadian Grand Prix. 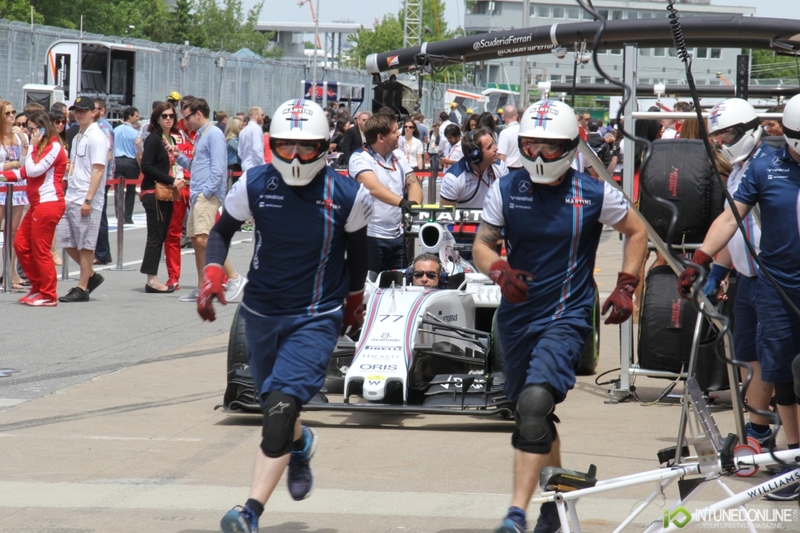 As we got closer to the track the crowds began to thicken up as we walked to the sounds of the Star Wars Imperial March being played in the subway by a solo violinist. 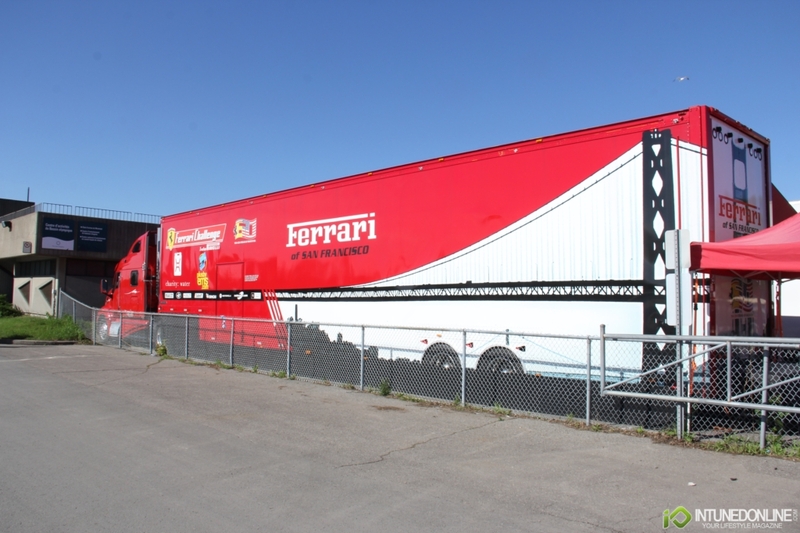 Up the final set of stairs and outside we are in the heart of Formula 1 fever in Montreal. 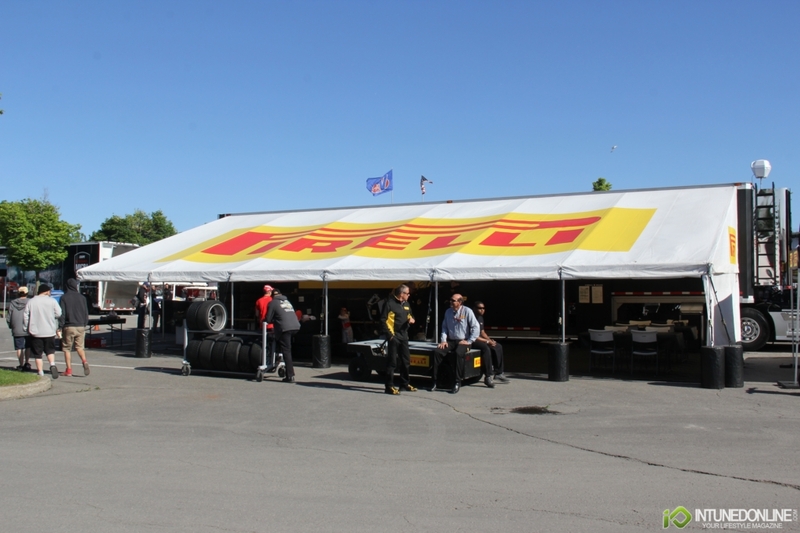 The walk towards the track allows for plenty of time to visit merchandise kiosks and all sorts of vendors related to the weekend. 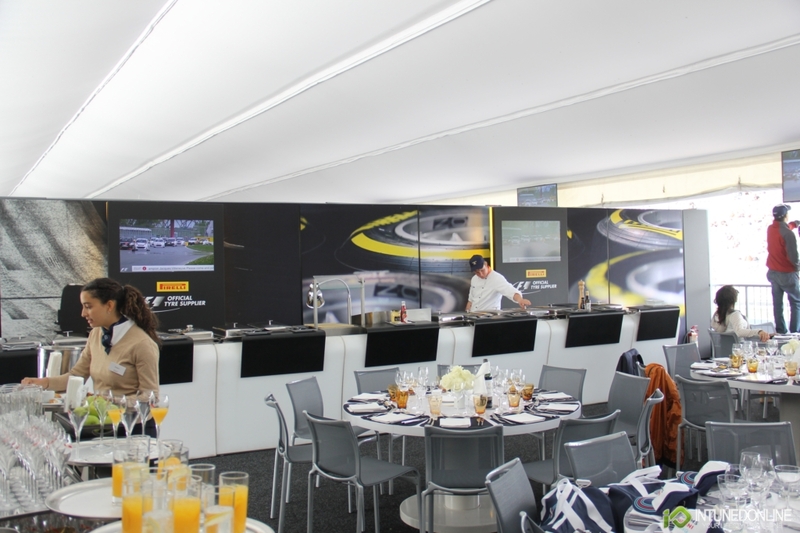 Our destination for the day is the Elite Suite loges, which is filled with Pirelli guests and staff. 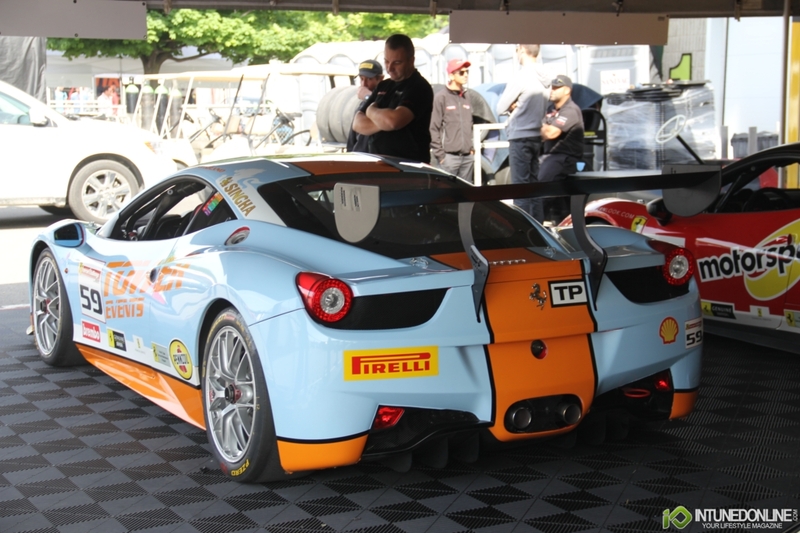 The track was busy throughout the day with Formula 1, Pirelli's Ferrari Challenge, Formula 1600 and Nissan Micra Cup. 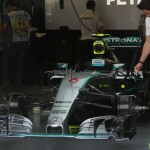 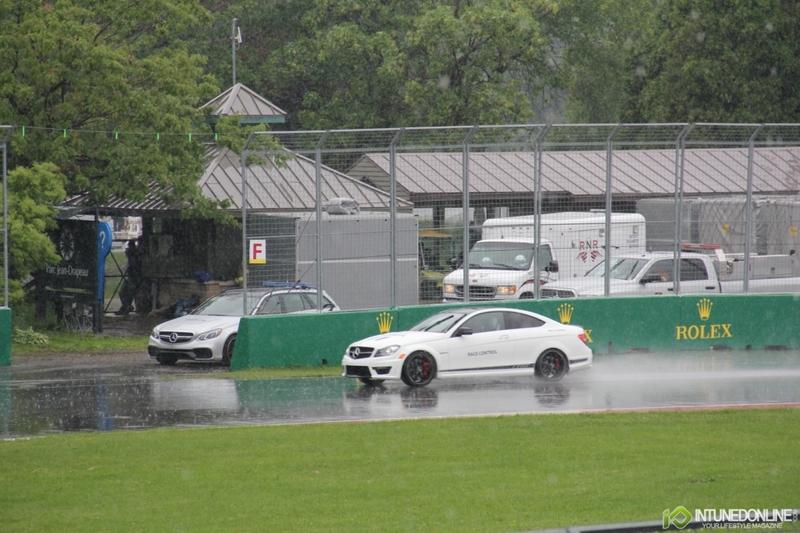 Formula 1 practice was cut short due to rain but to fan's delight the two Mercedes-AMG team mates of Hamilton & Rosberg emerged with rain tires to take the cars out for a lap up until Lewis slid into the barricade bringing practice to the end for everyone. 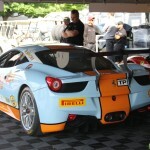 After the rain finally stopped the focus was on cleaning the track so Formula 1600 and Ferrari Challenge could resume. 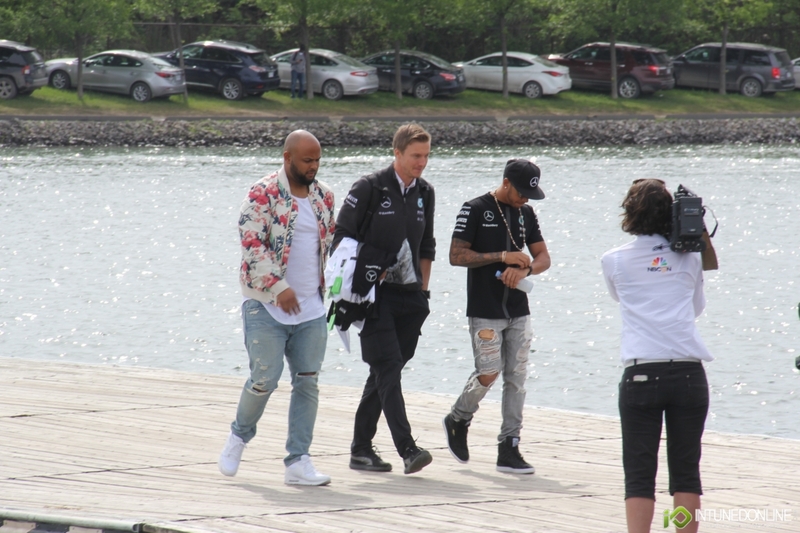 Once completed that was a wrap for the day. 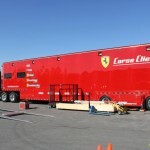 Another early morning starting off at the hotel with a quick bite to eat and then on the buses to the track. 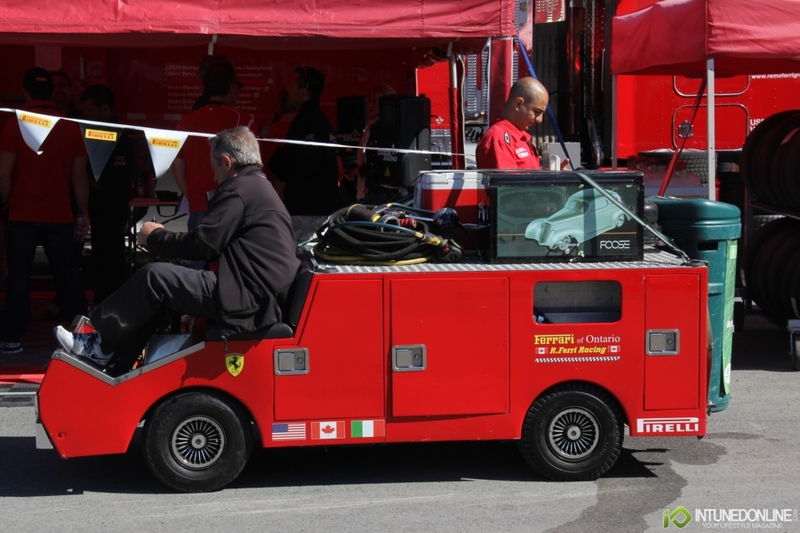 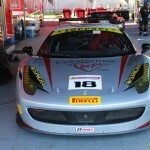 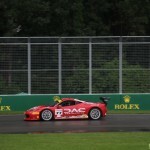 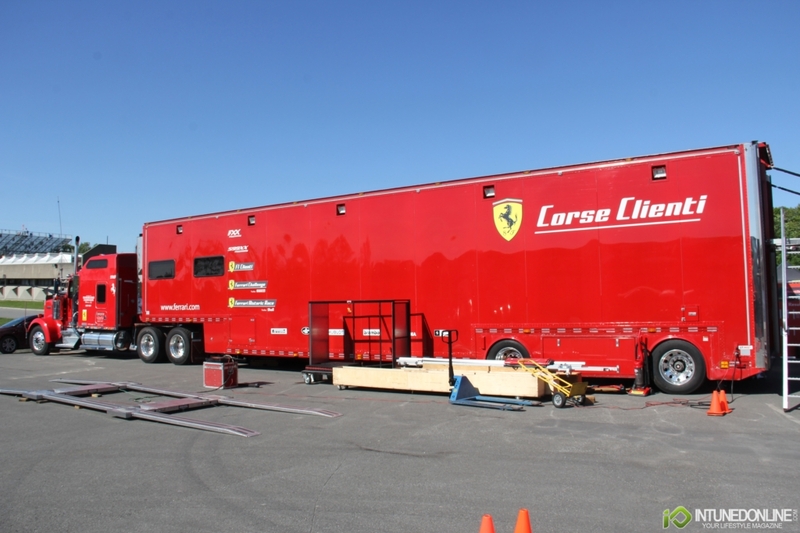 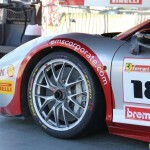 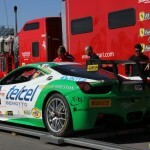 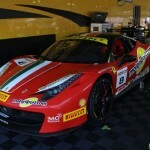 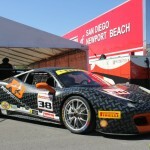 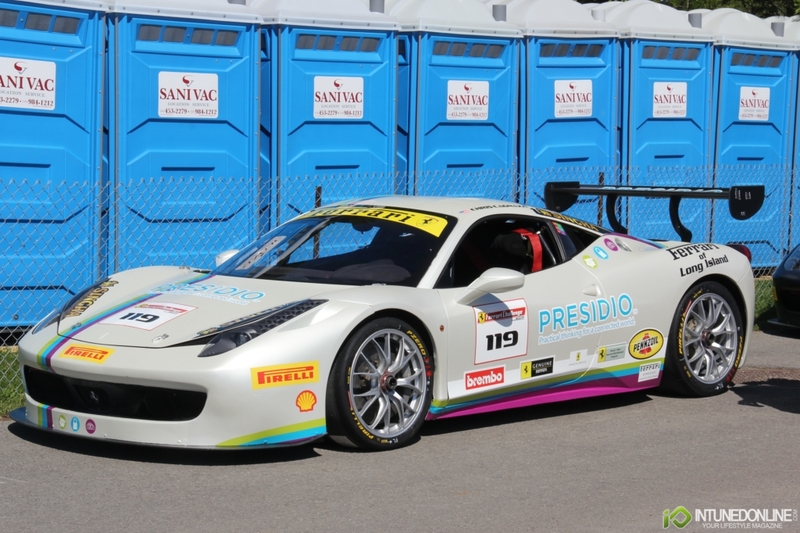 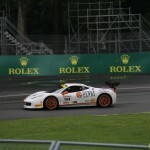 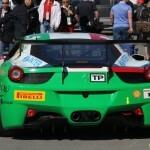 Once get to the track we make our way to the paddocks for the Ferrari Challenge. 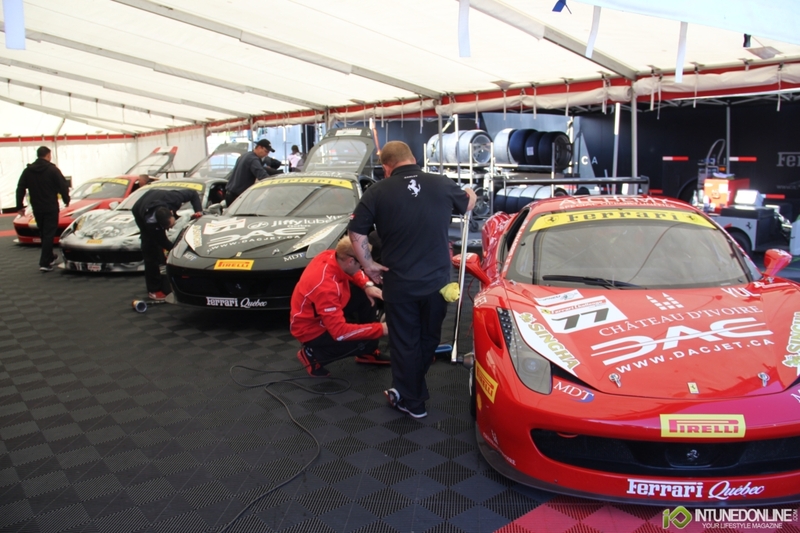 The spirit of racing is in the air as all the teams make their adjustments and preparation for the upcoming qualifying session. 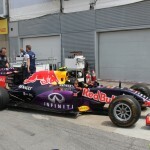 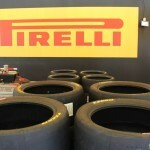 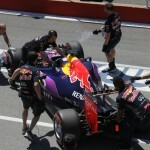 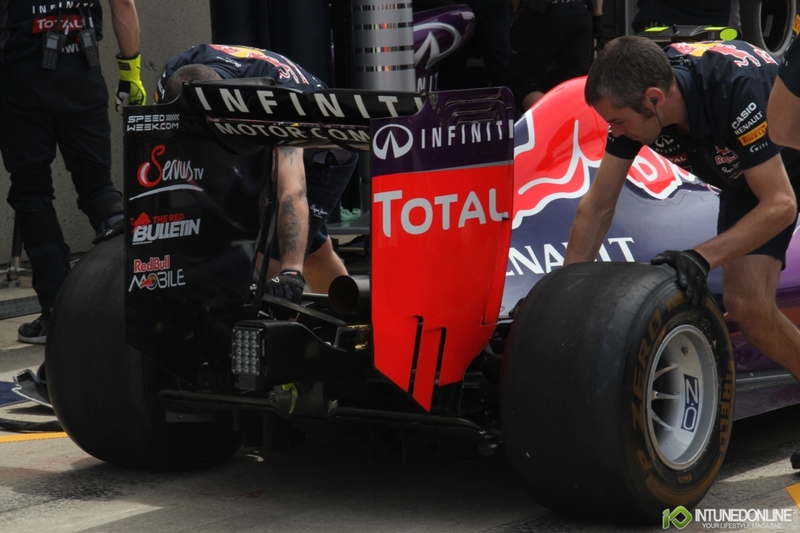 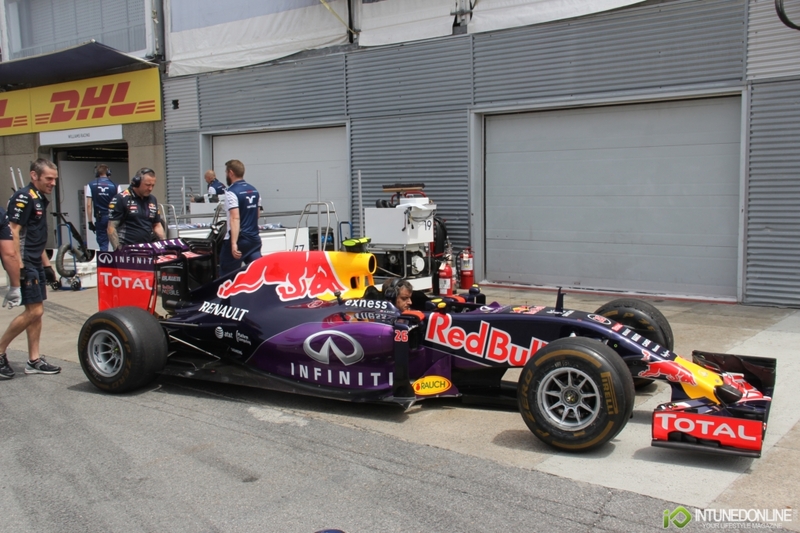 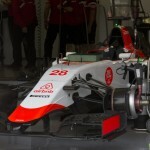 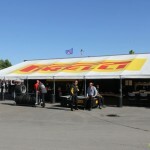 The Pirelli team is awaiting the sessions to start but have completed all their tire mounting and preparations already. 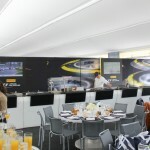 After walking around for a couple of hours we make our way to the Paddock Club which has opened for the weekend. 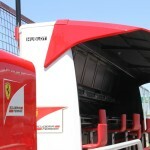 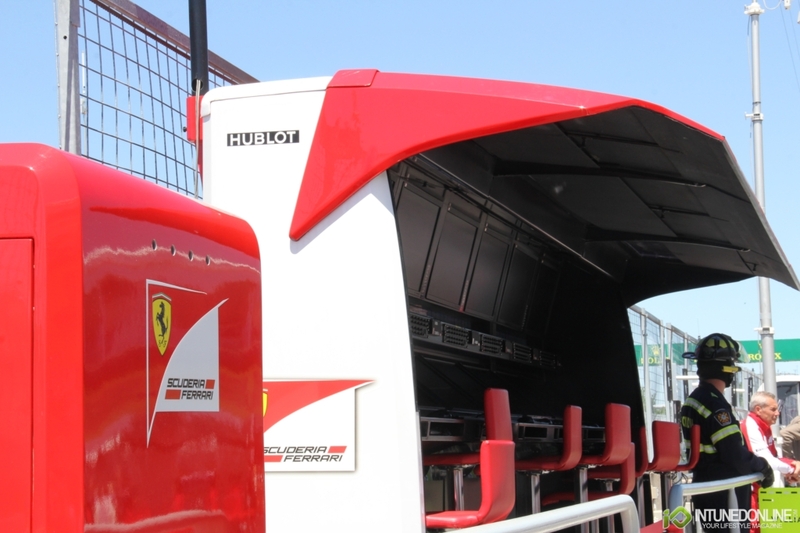 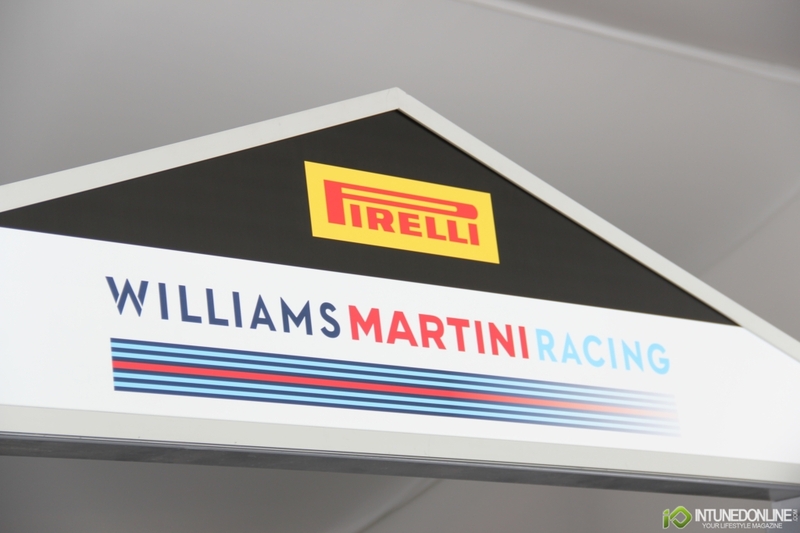 This VIP area has a variety of Paddock Clubs hosted by companies such as McLaren, Red Bull, Ferrari, ect; but this years' Pirelli club partnered with Williams Martini Racing. 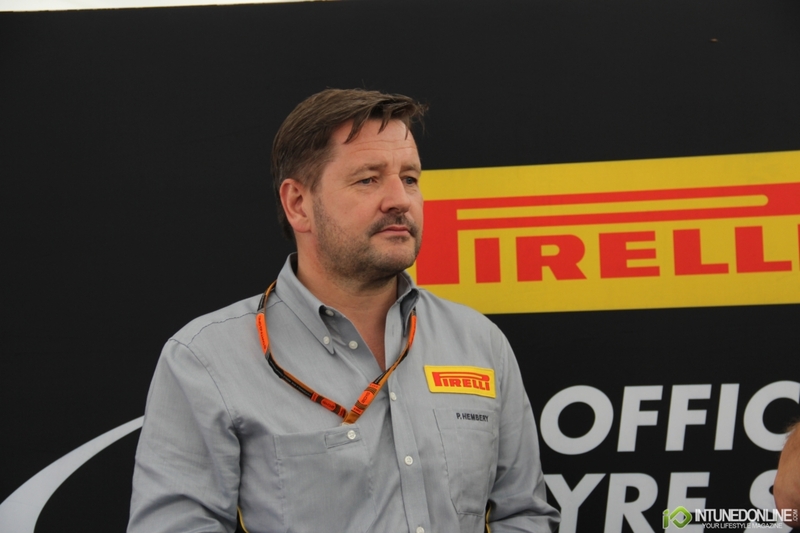 As guests were settling in Pirelli Motorsport Racing Manager Mario Isola came in to speak about the upcoming race this weekend and what the preparations and strategy may look like for the teams; giving even more background to the race taking place tomorrow. 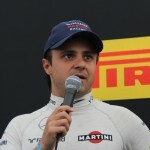 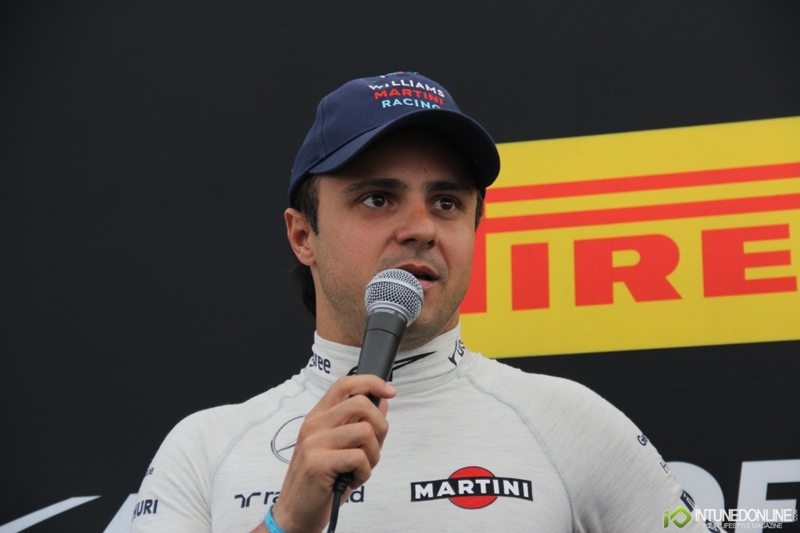 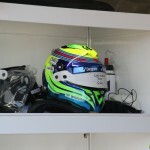 As the mimosas and espressos flowed Williams Martini Racing arranged for none other than Felipe Massa to join us in the paddock room and discuss the current car and strategy for the race. 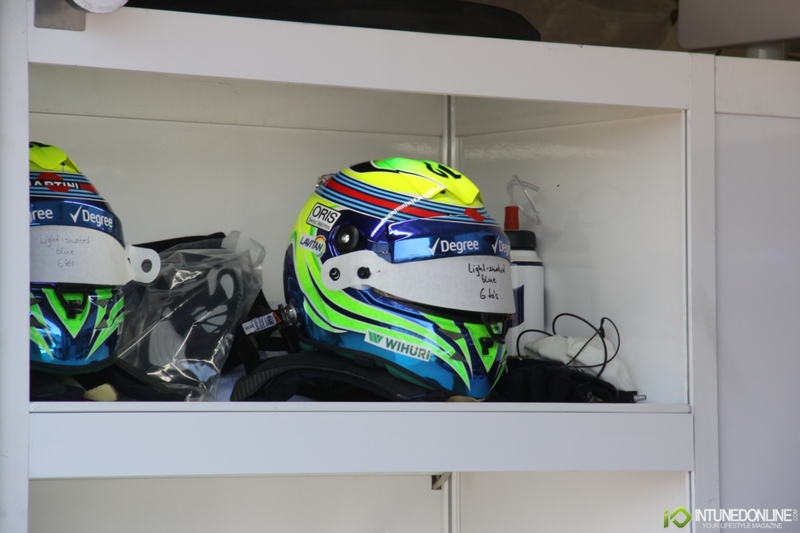 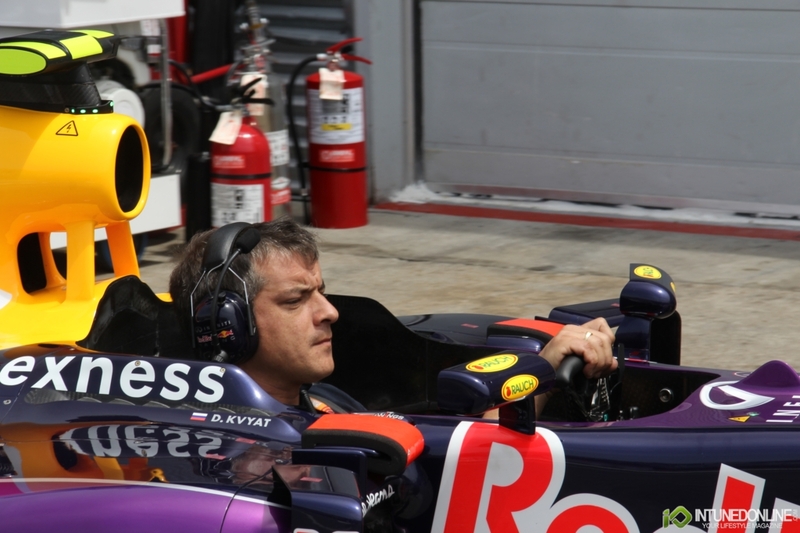 Shortly after his talk he needed to prepare for qualifying. 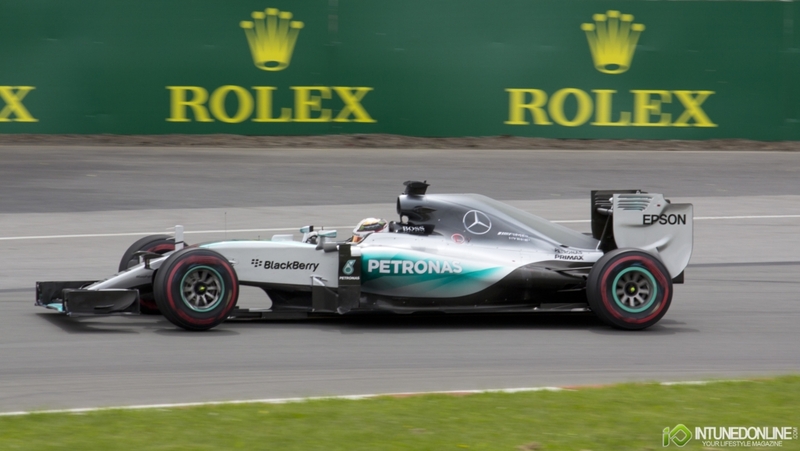 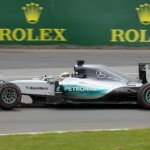 After an incredible lunch qualifying began with Lewis Hamilton taking the pole position with his teammate Nico Rosberg shortly behind him. 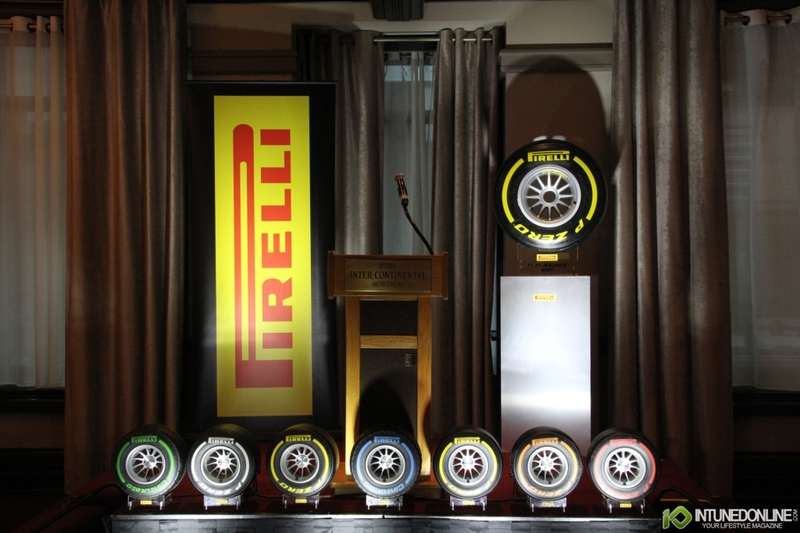 As we wrapped up at the track we made our way back to the hotel for a cocktail party hosted by Pirelli. 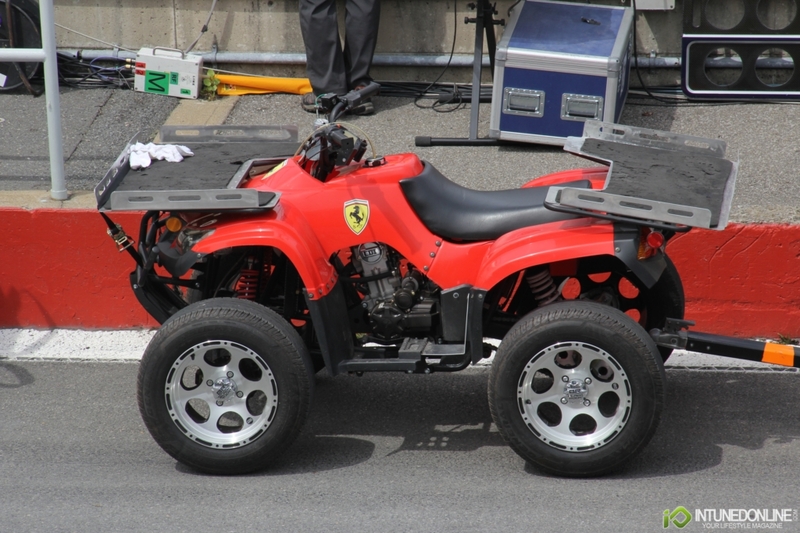 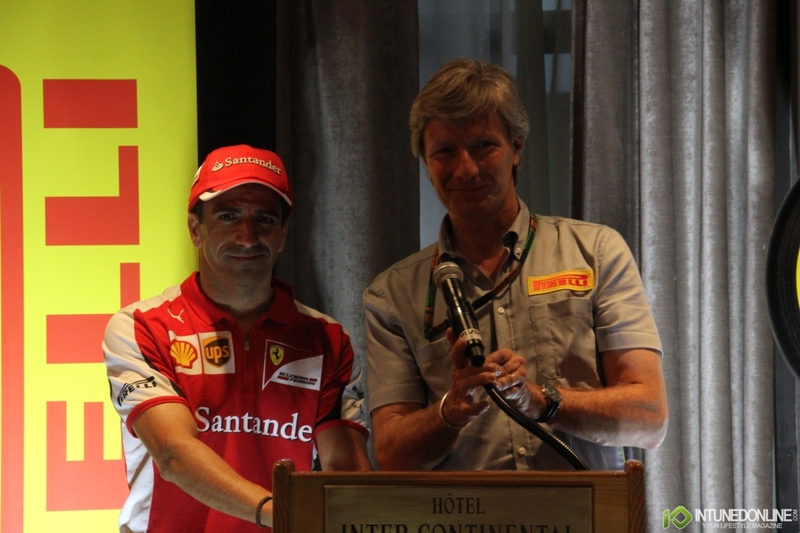 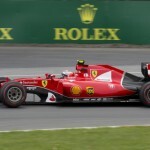 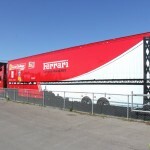 Speakers during the party included Pirelli Canada President Roberto Prieto and special guest Scuderia Ferrari Test Driver Marc Gene to share his experiences on the track, testing, working with Ferrari and strategies for races like the Canadian Grand Prix. 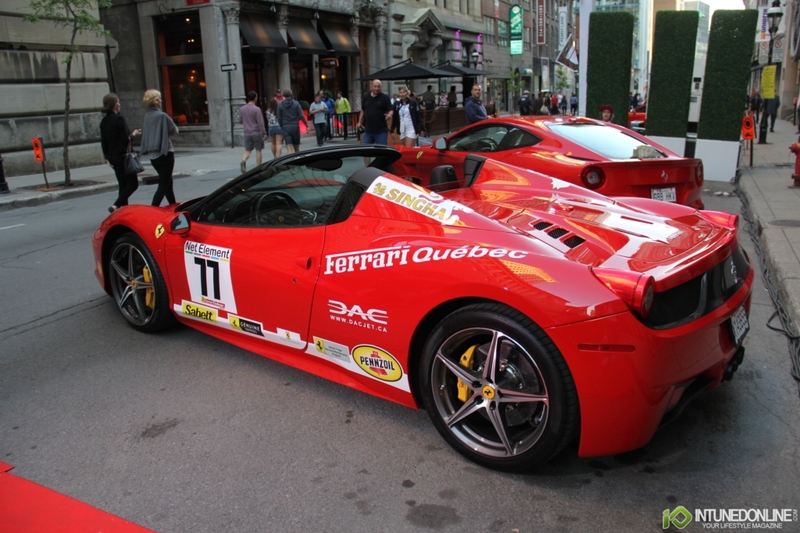 The reception ended and many guests parted to different parts of our fair city for dinner. 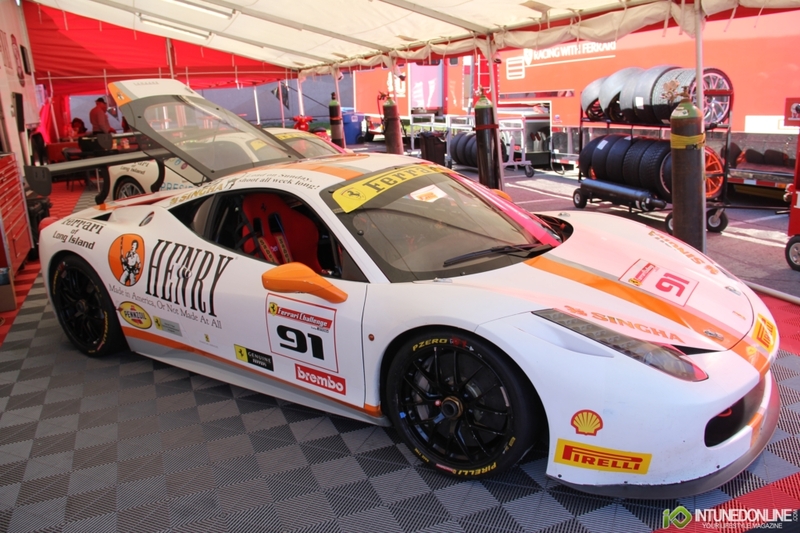 We also went out before heading to bed for race day. 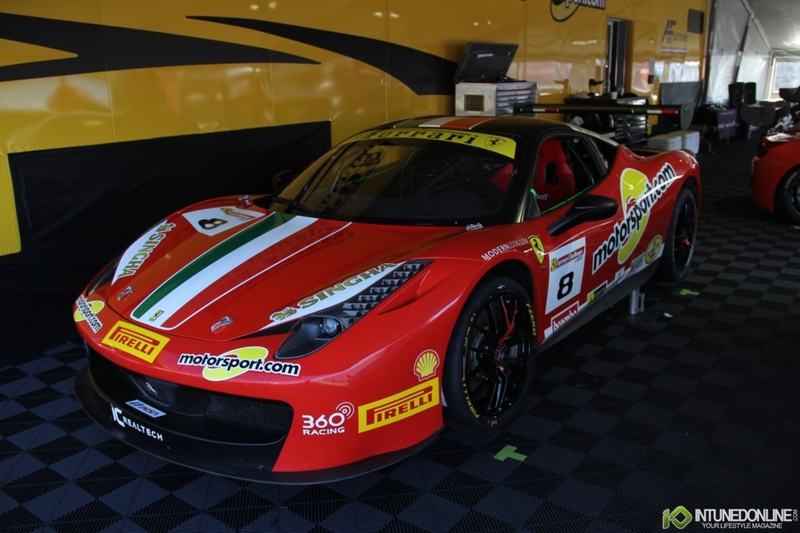 Another early morning started off with a coffee, an espresso and a little bit of food before venturing back to the track. 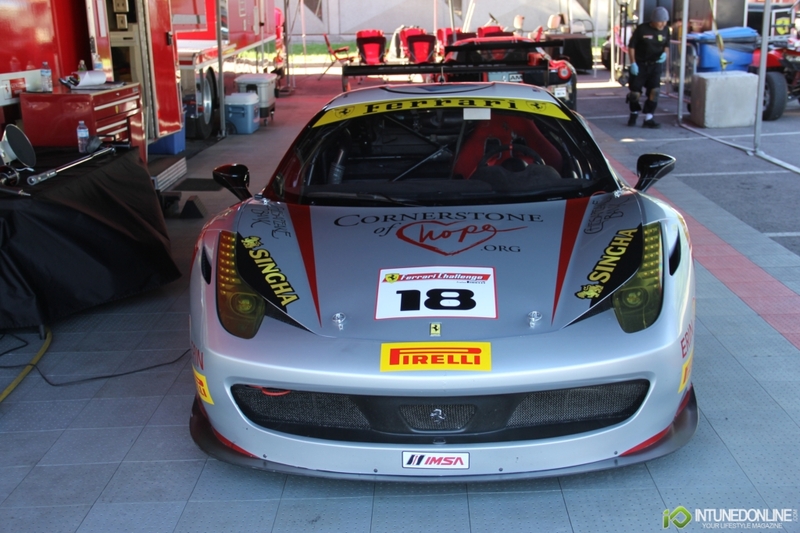 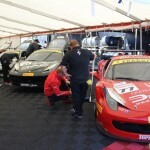 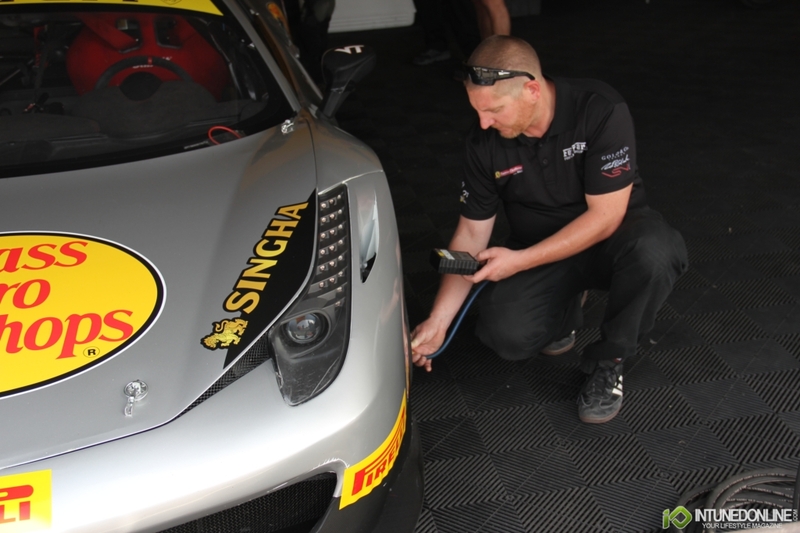 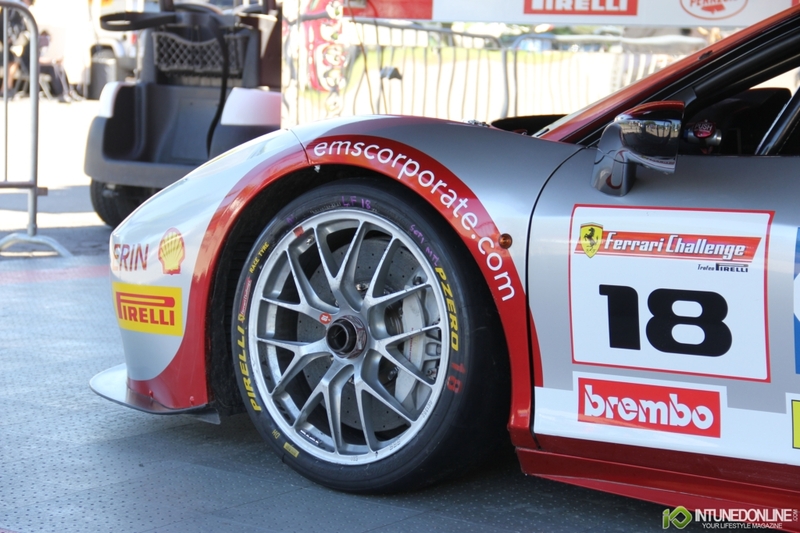 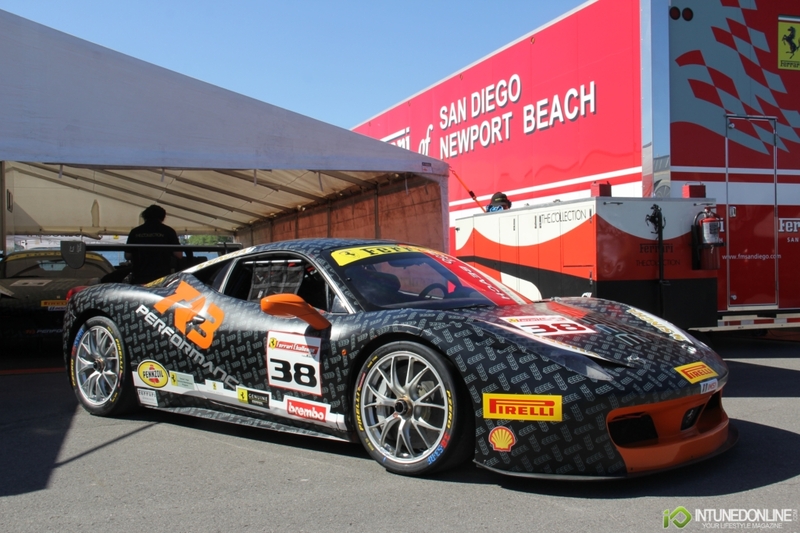 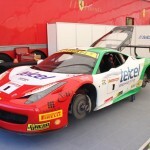 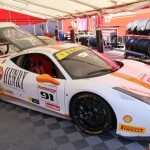 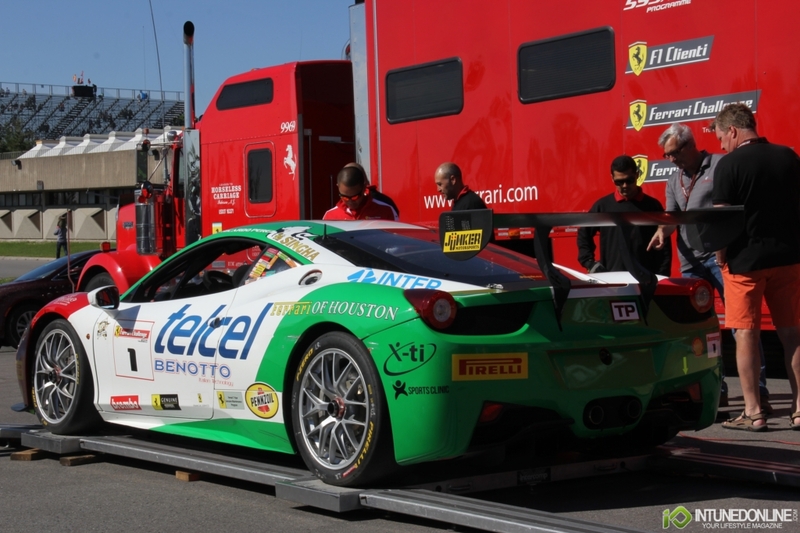 We kicked off our morning once again in the Ferrari Challenge paddock as they prepared for their race. 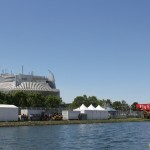 The mood was light in lieu of the upcoming race but all preparations have been made and the race will decide the outcomes. 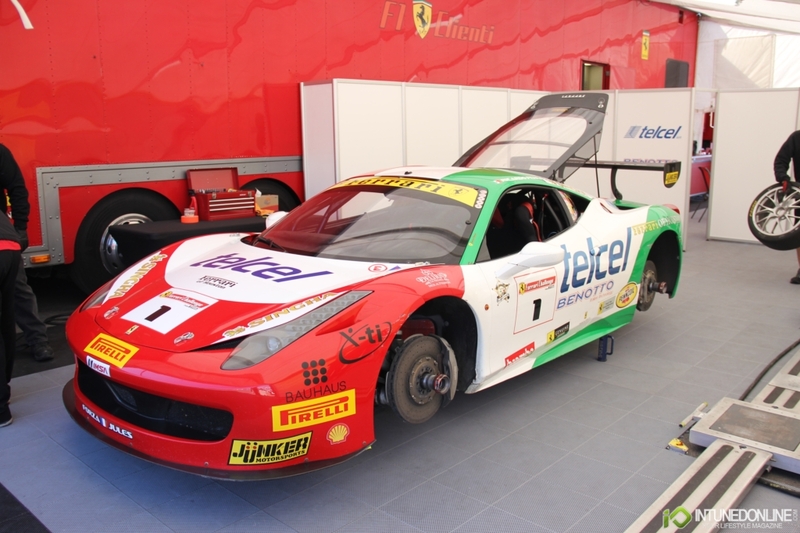 As the Ferrari's prepared for the track and the Nissan Micra Cup completed their race we made our back to the paddock club. 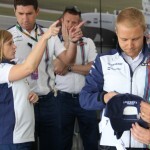 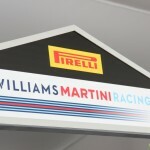 Early morning brought a surprise visitor in Williams Martini Racing drive Valtteri Bottas to the club where he signed autographs and took photos with many of the visitors in the club before parting to prepare for the race. 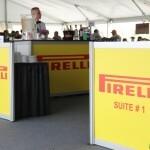 The champagne started early for all the guests coming in as everyone lined up at the edge of the paddock room overlooking the pits as the sound of the Ferrari's fired up and started their race. 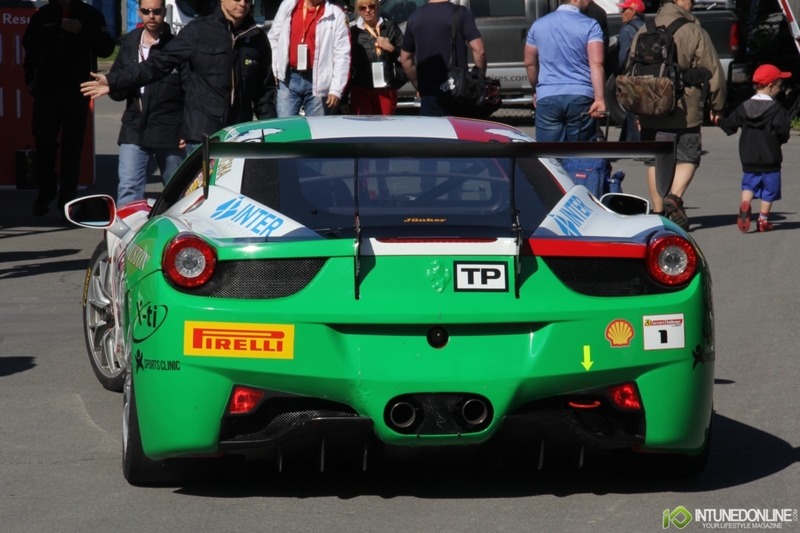 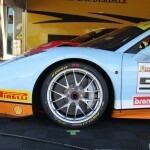 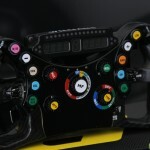 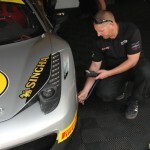 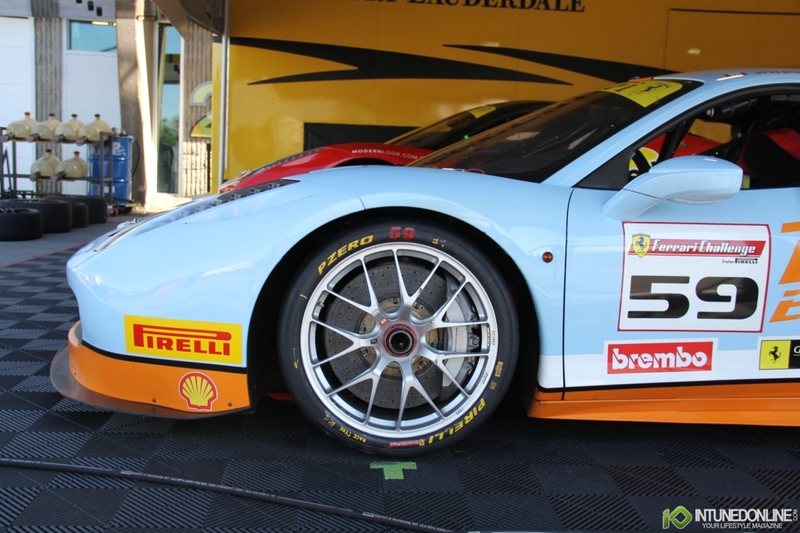 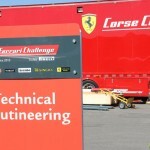 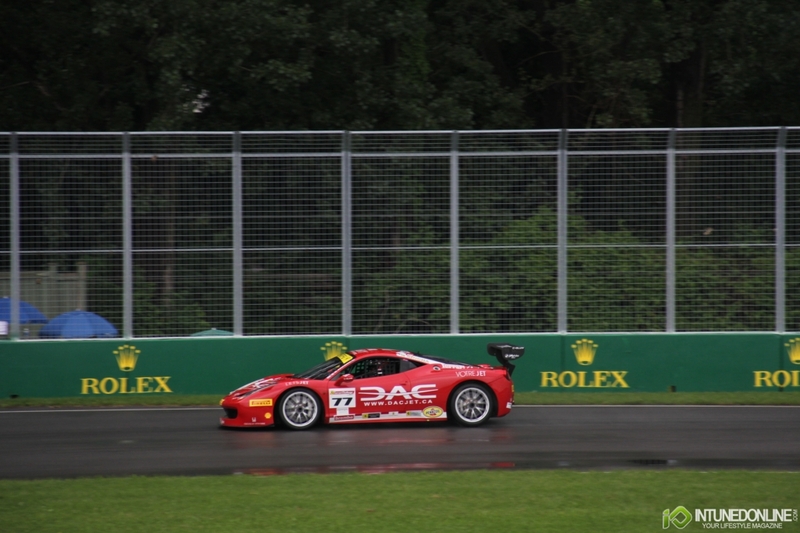 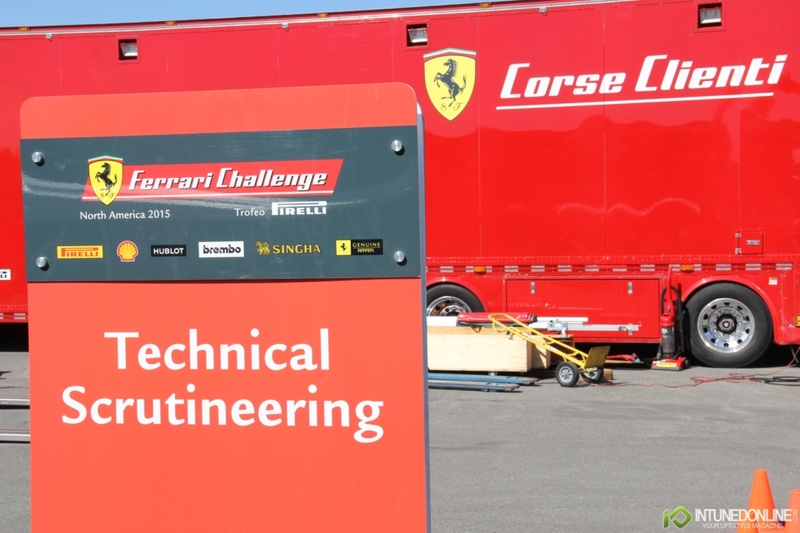 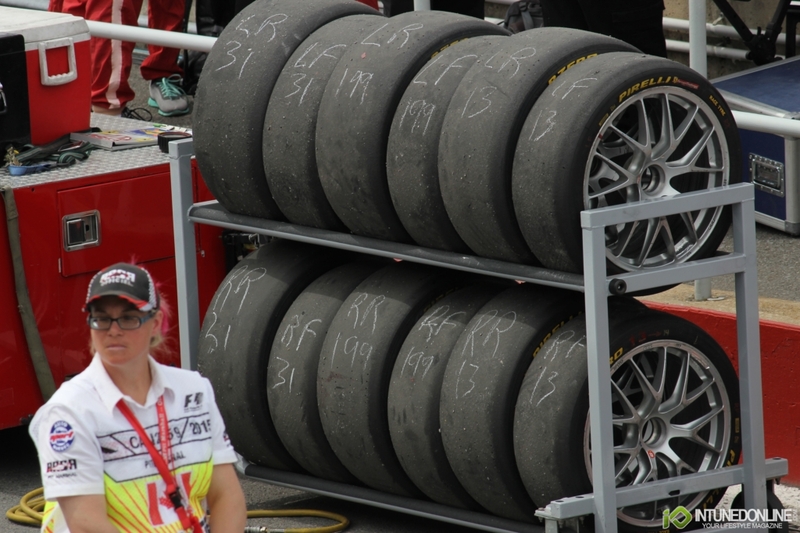 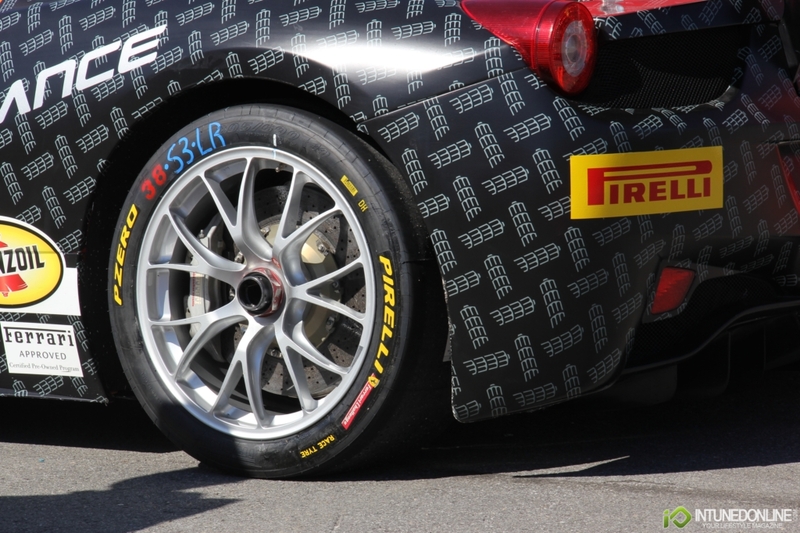 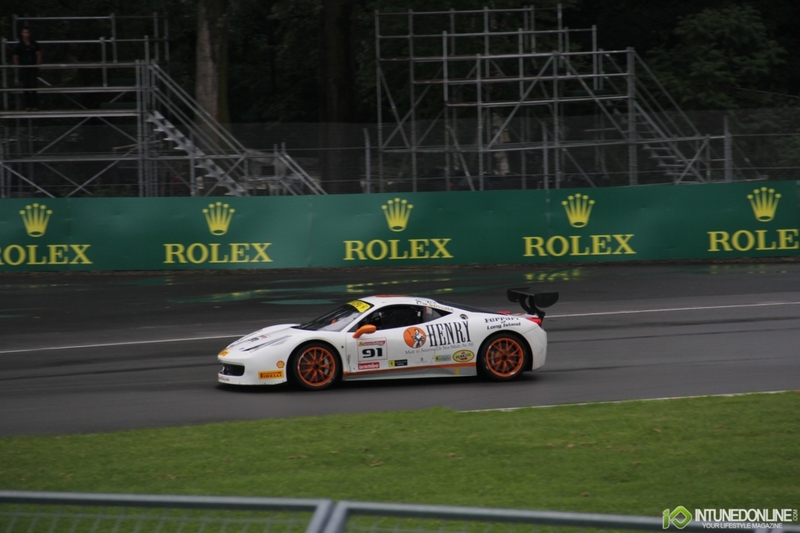 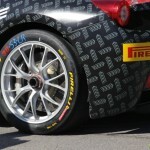 As the Ferrari Challenge ended the Director of Pirelli Motorsport Paul Hembery took to the stage talking about the process of preparing for each race, the analysis that needs to be complete. 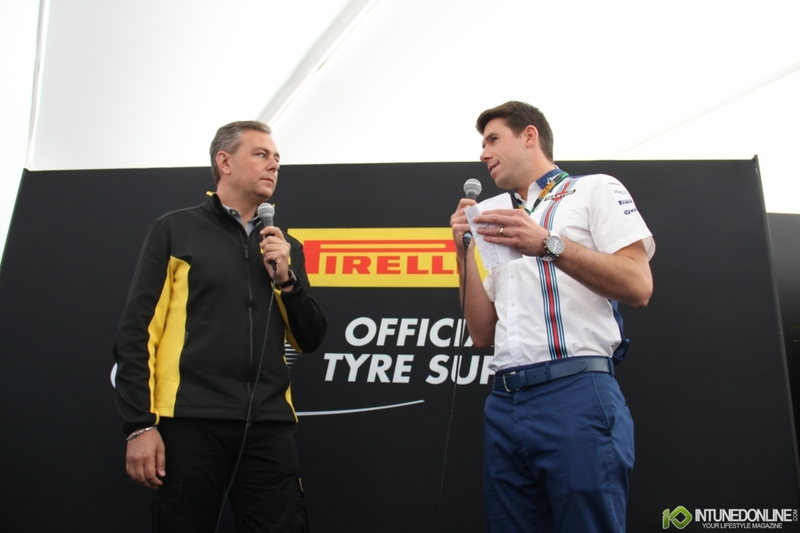 He also discussed the importance of the relationship with Formula 1 and Pirelli while giving a bit of insight into other race series as well. 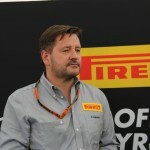 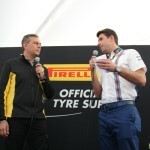 As Paul Hembery wrapped up the pit lane walk was now open for guests. 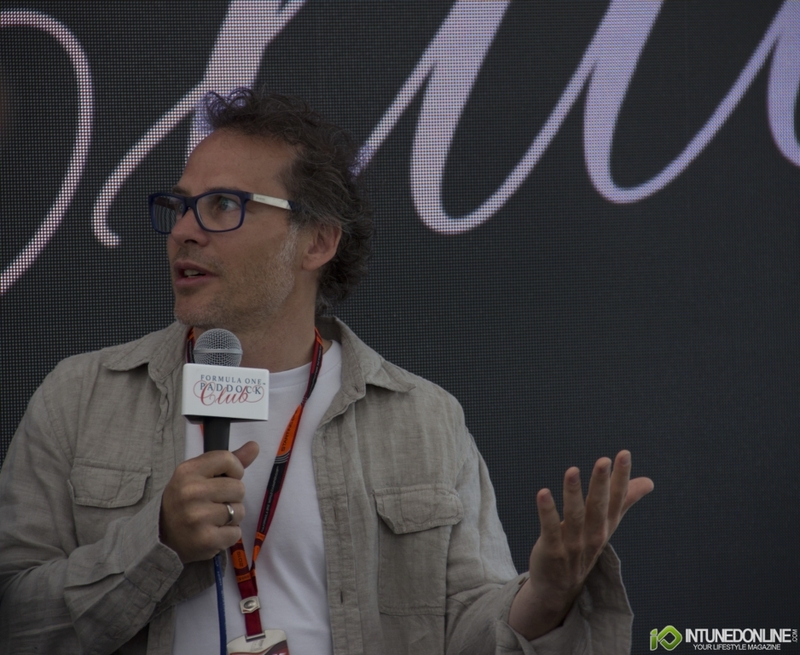 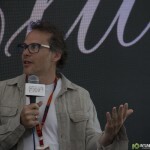 We got slightly detoured into the paddock lounge as former World Champion Jacques Villeneuve was speaking about the track (named after his father Gilles Villeneuve) and providing insights on what's going through the driver's minds as they prepare for the race. 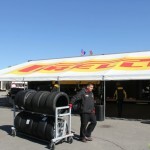 During the pit lane walk many of the teams exhibited pit practice with the cars for re-fueling and changing tires which is purely art in motion when standing feet away . 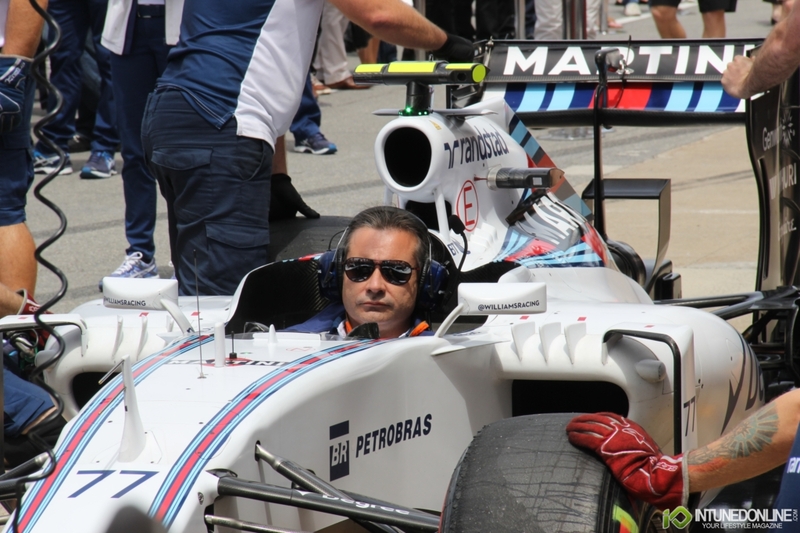 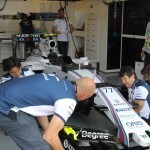 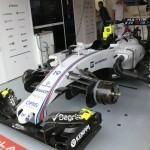 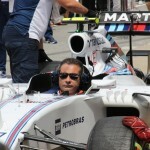 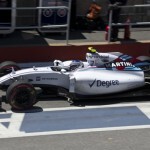 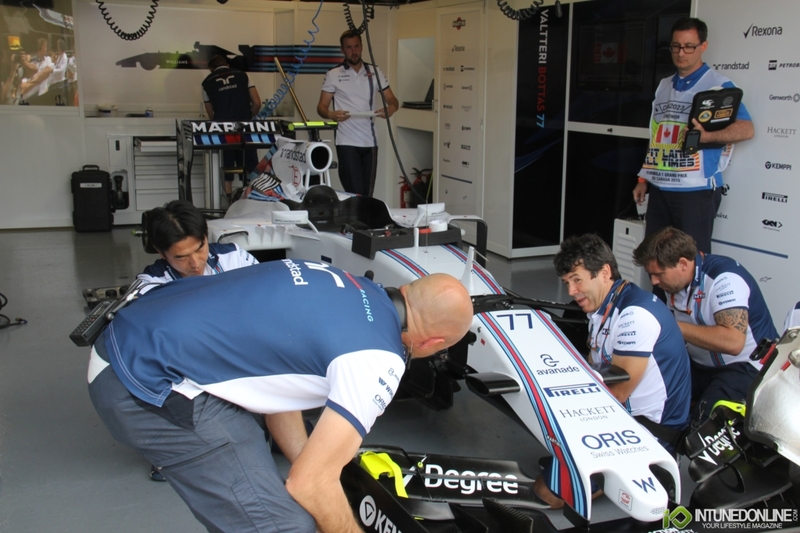 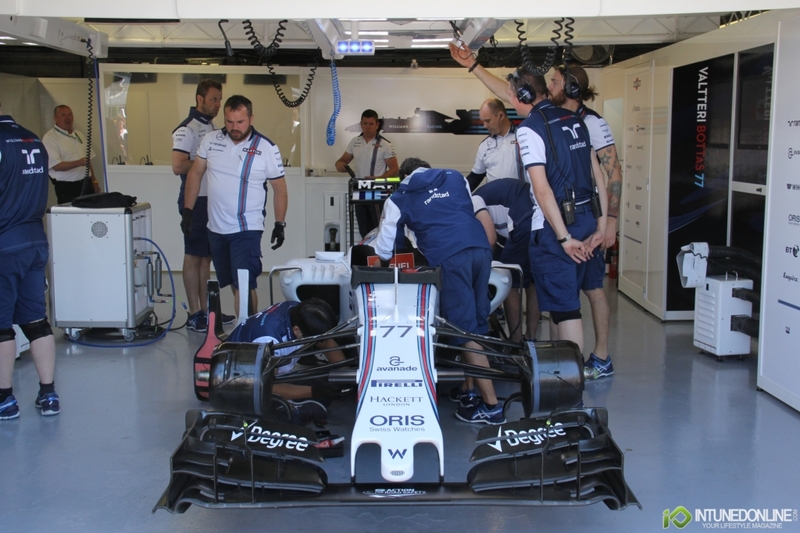 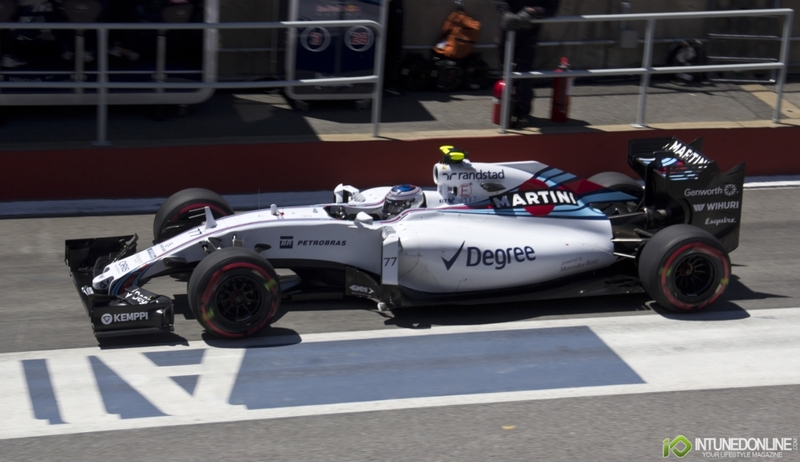 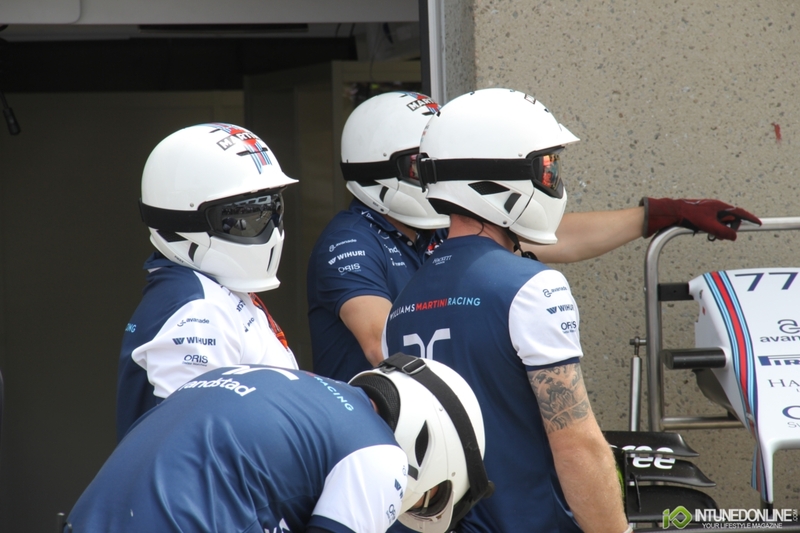 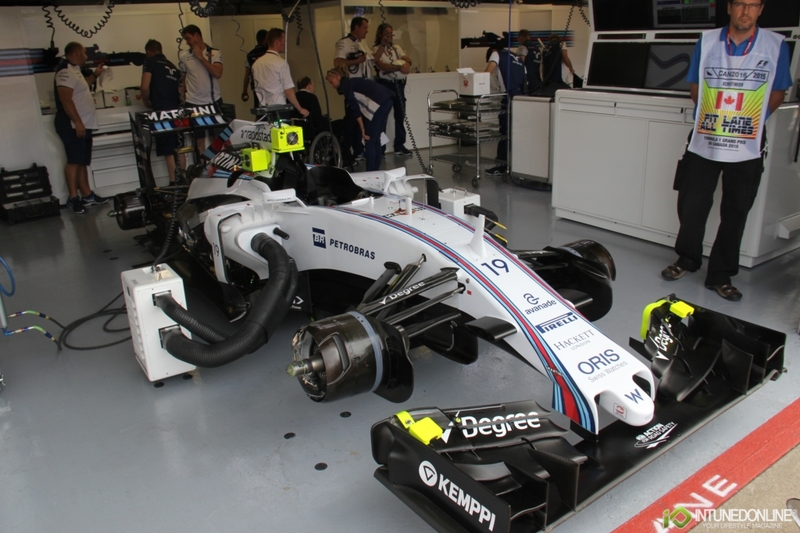 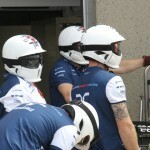 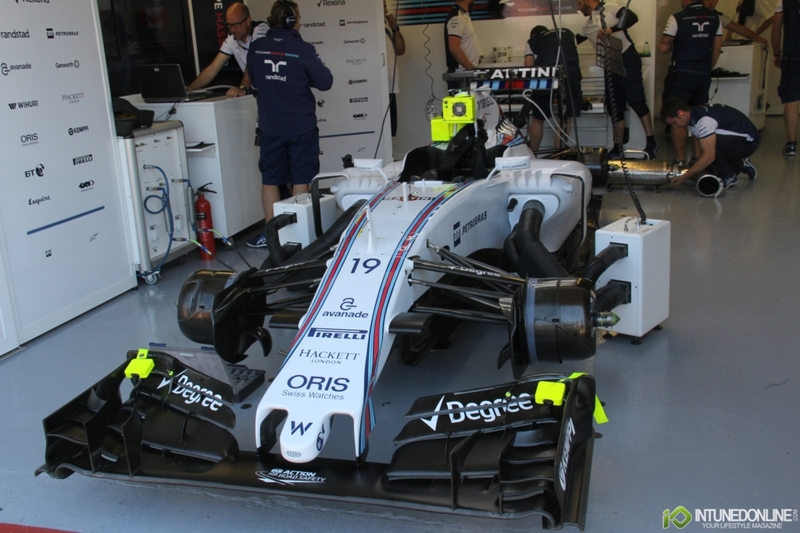 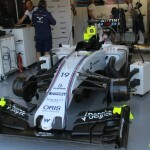 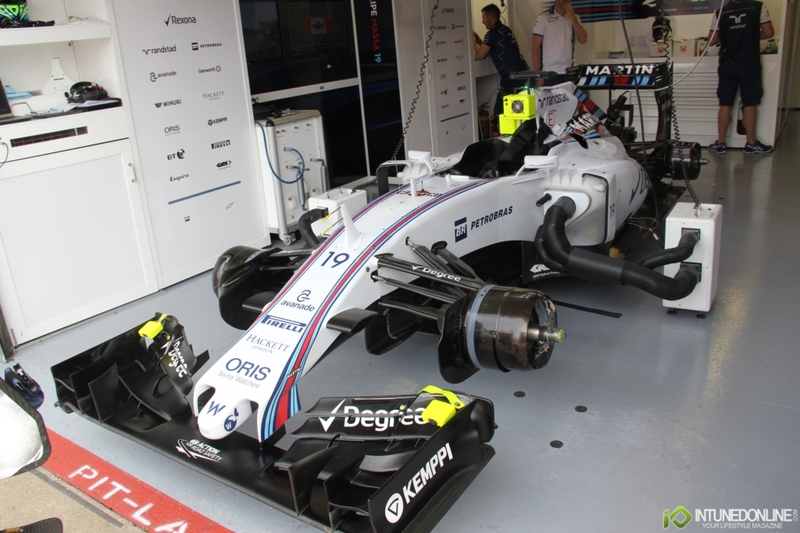 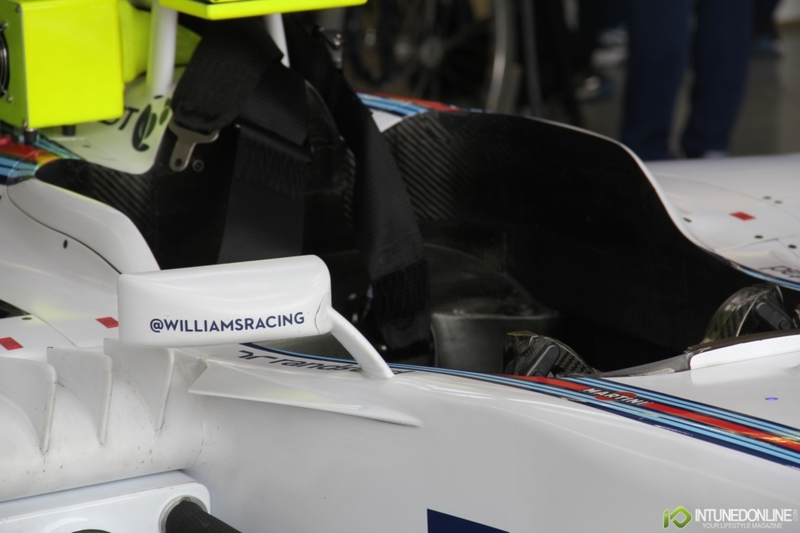 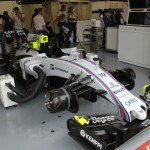 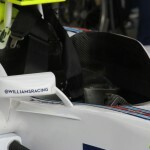 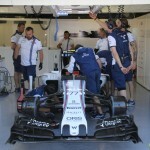 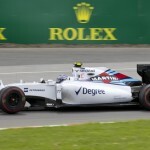 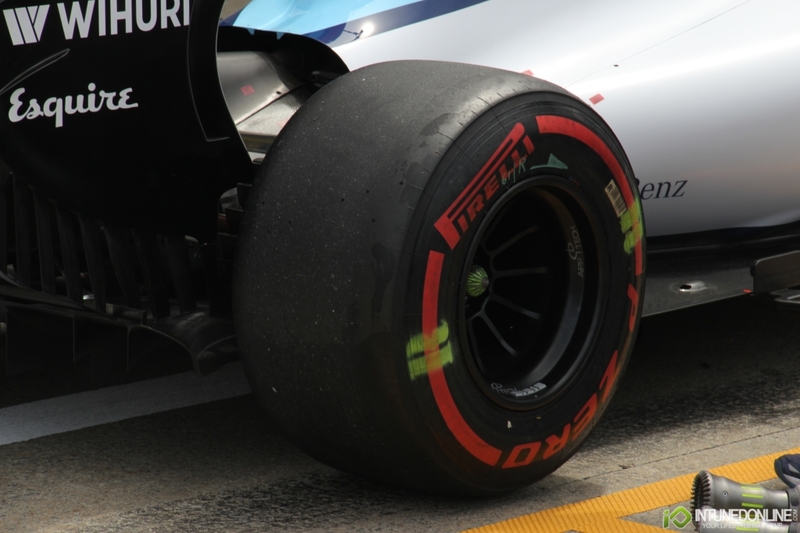 Williams Martini Racing extended their VIP experience by allowing an up close and personal look at the garage for an unobstructed view of what goes on as they prepare the cars for racing. 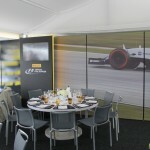 After taking a look at all the teams we make our way back to the room where we are treated to a 5 star lunch before the race begins. 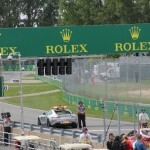 Opening ceremonies begin with the national anthem along with F16 fighter jet flyby. 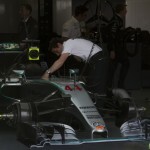 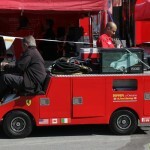 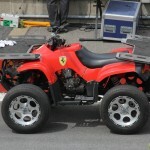 Movie stars such as Al Pacino, Michael Douglas and Michael Fassbender are spotted getting ready to watch the race. 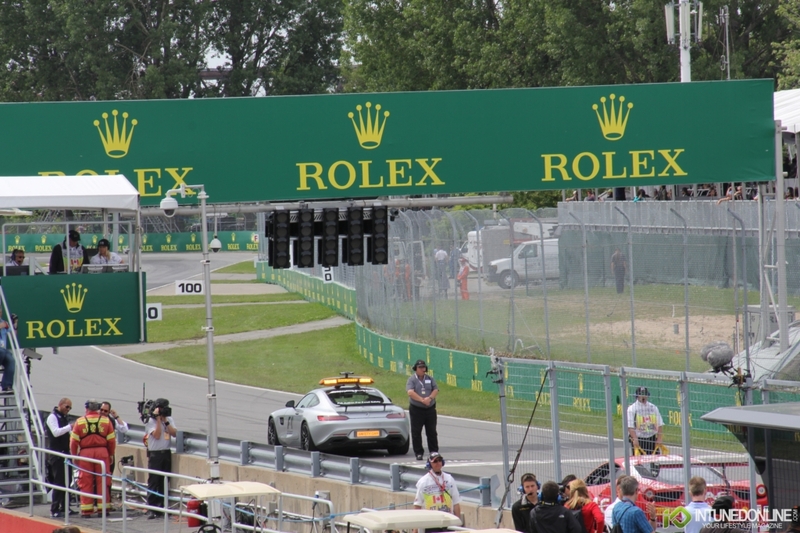 Once the race starts everyone is on their feet watching the cars fly by and viewing the monitors to keep track of the action out of sight. 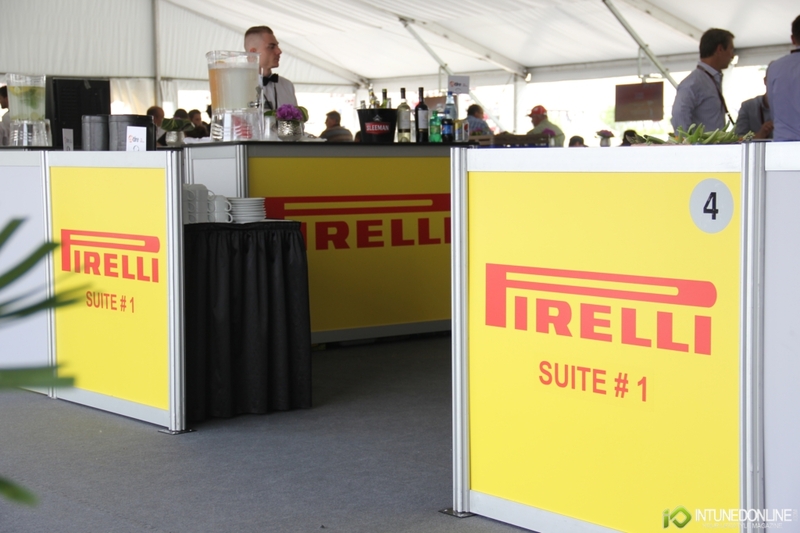 We make our way to the elite suite to see how the guests are enjoying the race thus far and get a glimpse of the cars as they move into the first turn. 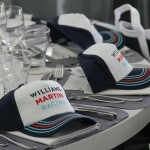 The elite suite is bumping in excitement. 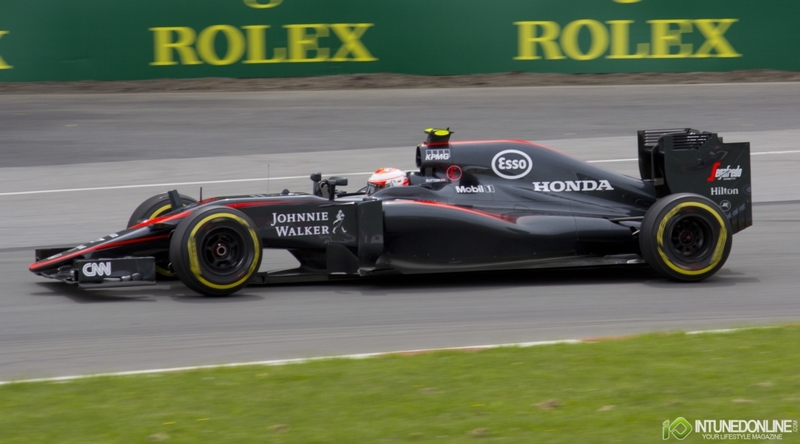 We are 1/2 way through the race as the drivers fly by pushing the limits of each turn to move up in positions. 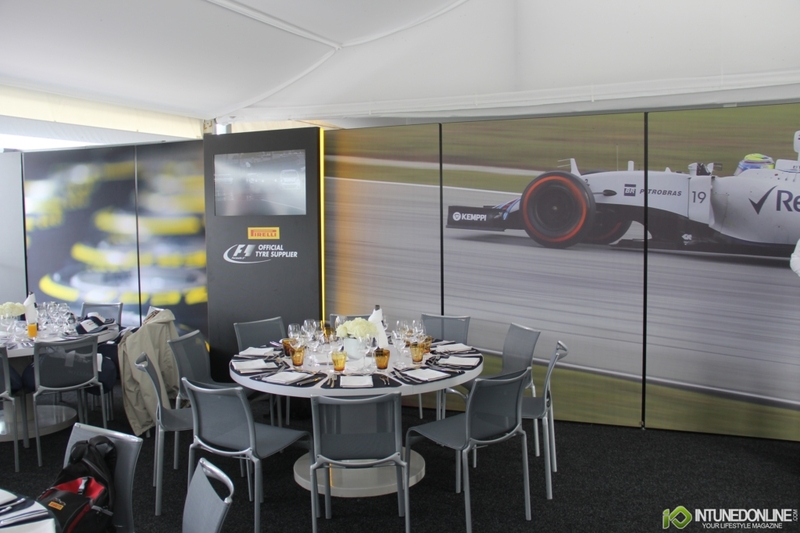 As the end of the race nears we make it back to the paddock club for the checkered flag celebration. 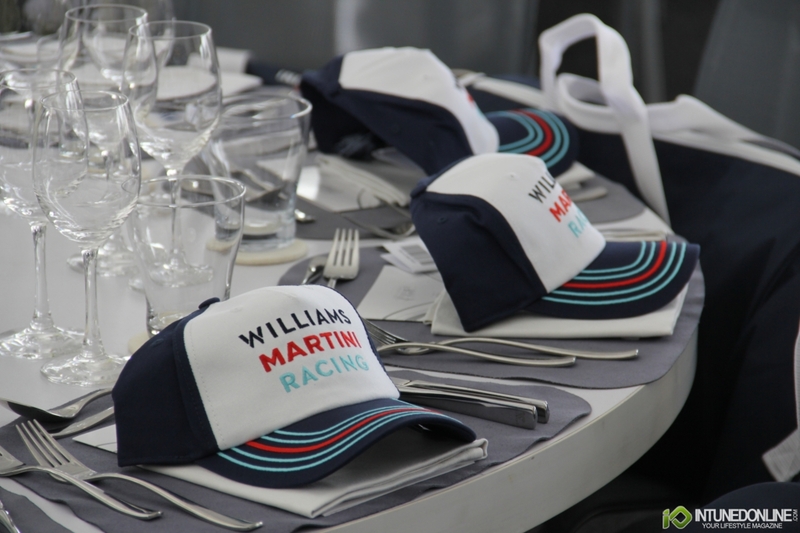 Guests enjoy champagne as the race concludes with Williams Martini Racing driver Valtteri Bottas takes 3rd place podium finish behind Mercedes-AMG drivers Lewis Hamilton & Nico Rosberg. 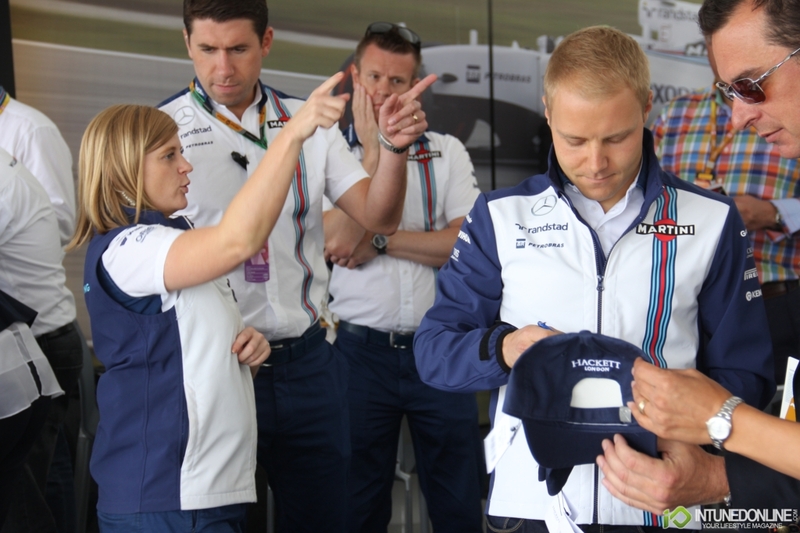 As part of the celebration the Williams Team bring the 3rd place trophy up to the lounge for photos with guests. 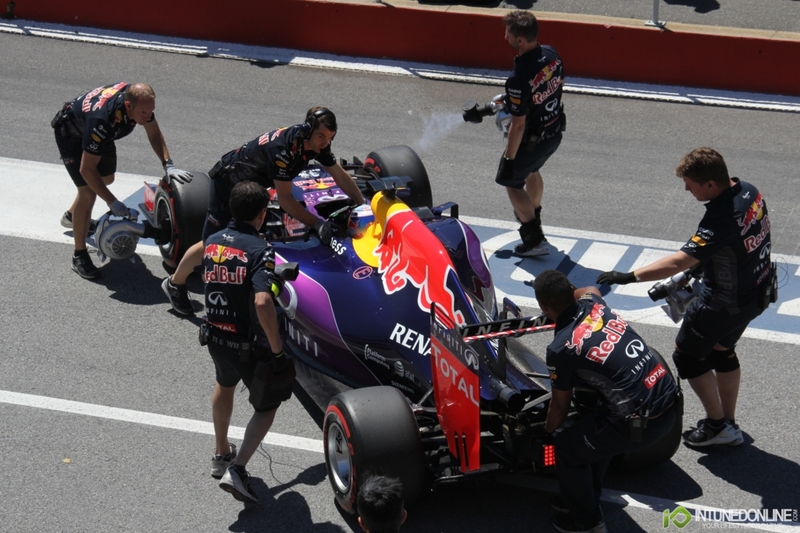 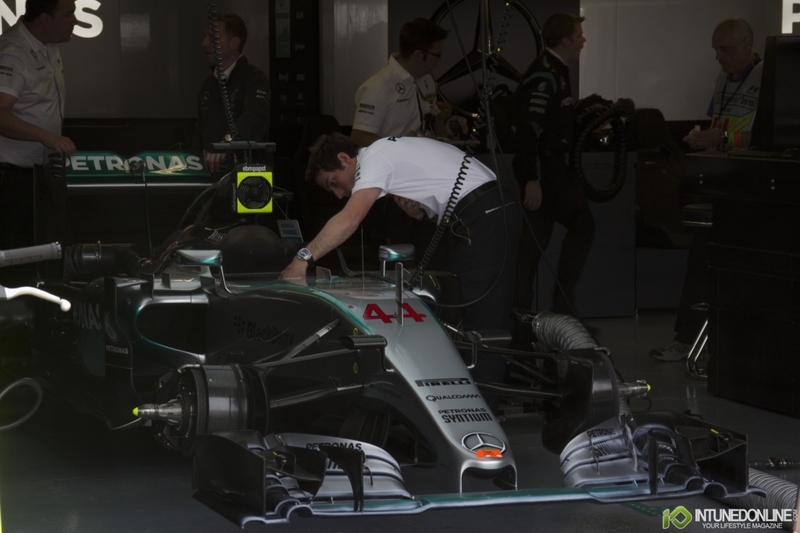 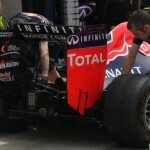 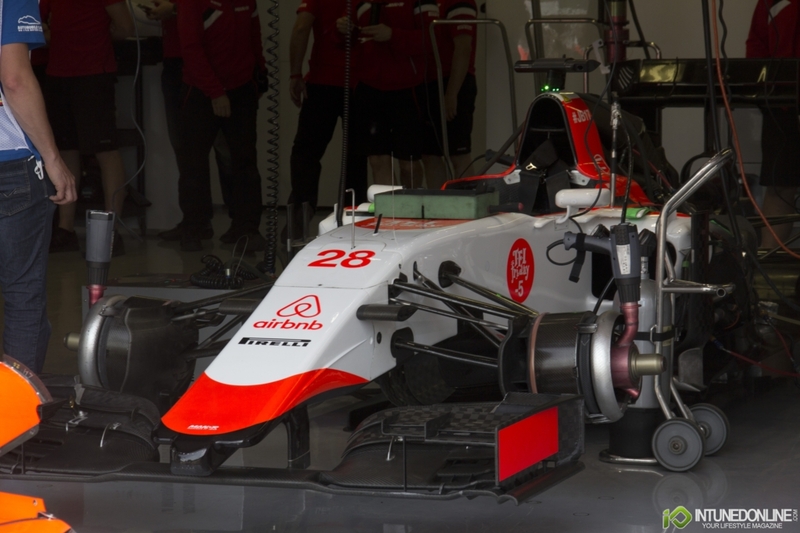 As the day winds down the teams dismantle their equipment to prepare for shipping and the next race which will be the Austrian Grand Prix. 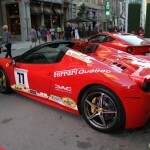 The sunsets on another Grand Prix weekend and we could not have had a better experience. 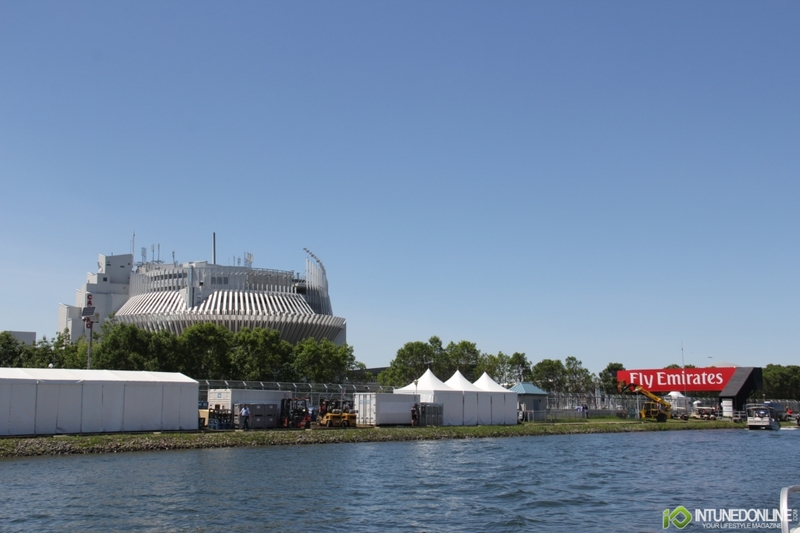 Each year is like a dream come true and we always are sad to see it come to an end. 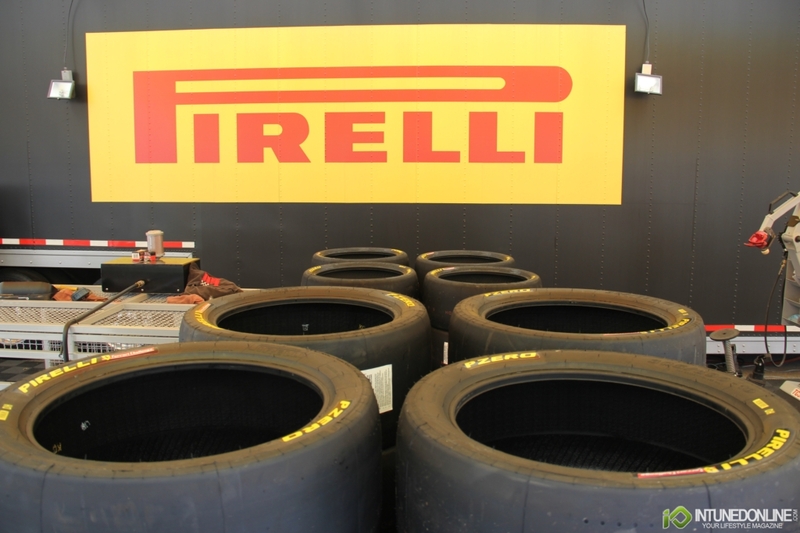 We want to sincerely thank Pirelli for their hospitality through the entire weekend.